Readers who may wish to offer constructive comments or corrections may contact me at gkpaleo "at" yahoo.com. showing what he calls the "Rupture Phase of the Flood"
Walter Brown, a young-earth creationist and retired mechanical engineer, has developed a "Flood model"1 which he believes accounts for virtually all geologic evidence on earth, as well as a variety of astronomical phenomena. His central thesis is that only a few thousand years ago the Earth's entire crust consisted of a granite slab 20 to 60 miles thick (until recently, claimed to be 10 mi thick), suspended over a large reservoir of highly pressurized water. According to Brown, due to centuries of "tidal pumping" from the Moon's gravity, the crust suddenly cracked and burst open, violently releasing the subterranean water and flooding the entire earth (Fig. 1). He argues that large masses of rock and water were ejected into outer space during this massive eruption, creating all the asteroids, comets, and meteoroids in our solar system. He further claims that the immense slabs of broken crust, which he calls "hydroplates," undulated, heaved and slid thousands of miles in a matter of months or less, and then crashed into each other to form mountains within hours. Brown presented early versions of the model during the 1980's (Brown, 1986), and subsequently revised and expanded it into a more comprehensive model of earth history, which he described in a book entitled In the Beginning: Compelling Evidence for Creation and the Flood, now in its 8th edition (Brown, 2008). He provides updates and excerpts of large portions of his book at his Creationscience.com website, where major portions of the upcoming 9th edition can be found. Brown indicates that he is "Director of the Center for Scientific Creation" in Arizona, which apparently consists of two people (he and his wife). Brown's Flood model and associated claims are overwhelmingly rejected by conventional scientists, since they strongly conflict with many lines of evidence that the Earth and solar system have had a long and complex history, and that the Earth is about 4.6 billion years old (Hazen, 2013; Strahler, 1987). Detailed critiques of Brown's Flood model (based on earlier editions of his book) have been made by Lippard (1989a, 1989b, 1990) and Jellison (2009a, 2009b), while one or more his specific claims have been refuted by others (Bahcall, 2004; Fleming, 2012; Kuban, 1997; Matson, 1995a,b; Morton, 2003a; Sharp, 2005; Van Till, 1986). A point-by-point refutation of many of Brown's claims is found on RationalWiki (2018). Although Brown's Flood model has garnered considerable popularity among lay creationists, many YEC authors and major groups such as AIG and CMI have rejected or strongly questioned it, and refuted many of his specific arguments (Oard, 2013; Faulkner, 2014). In the wake of such criticisms, Brown removed a few glaring errors from his 2018 book, such as those regarding the "shrinking sun," "missing neutrinos, and a "Japanese plesiosaur" (Kuban, 1997). However, he continues to promote many other dubious and unfounded claims in the draft 9th edition of his book, featured at his website, where he continues to sell the 8th edition (without qualifications), despite a number of contradictions with the 9th edition draft. This review expands on past critiques, and addresses recent updates to Brown's book and web site. Unless otherwise stated, any references to page numbers applies to the 8th edition of his book. Brown's Flood model requires that the proposed water reservoir be totally sealed under the Earth's crust. This precludes any significant earthquakes, meteorite impacts, or fissures in the crust anywhere on entire earth, even though such phenomena are well evidenced throughout the geologic record. Recently one of Brown's supporters suggested that this is a circular argument (Hurlbut, 2015), since Brown holds that meteorites came from the Earth. However, one reason it is not circular is that meteorites and impact craters are known from Precambrian strata, which Brown and most other YECs view as pre-Flood rocks. Moreover, the ages of these strata are derived from several independent dating methods (discussed in further detail later). Even without earthquakes or meteorite impacts, the only way a surface crust could cover a global expanse of water below it is if it were almost perfectly smooth, lacking any mountains even hills. Otherwise the crust would buckle, massively fracture, and release the subterranean waters (Morton, 2003a). Since Brown accepts the presence of pre-Flood mountains (which are mentioned in the Bible), Brown evidently realized that he needed something to help support the crust. Thus, he proposes that on Days 2 and 3 of the "creation week" (which he takes as literal solar days), the granite crust "sagged down" deeply in places, all the way to the floor of the rock below the water chambers, forming supporting "pillars." However, this only exchanges one set of problems for another. First, there is no empirical evidence for such pillars. Second, miles-thick granite plates would not "sag" and deform, especially in a matter of days, without extensive and massive cracking, which would immediately release the pressurized water. Brown suggests the granite crust would act like "putty" while under pressure, allowing it to deform without much cracking, and that any cracks would self-seal before they reached the water chambers. However, granite is an extremely hard and crystalline type of rock, and does not deform to any significant degree without massive fracturing, except when near its melting point, and over long time periods (Nelson, 2012). In contrast, Brown suggests the pillars formed in days, and if the Earth was hot enough to melt granite during the "creation week," it would only exacerbate the already immense heat problems discussed below, and kill all life on earth. For years Brown held that the granite "hydroplates" were 10 miles thick, even though no evidence supported that assumption, and despite extensive geologic evidence indicating that the Earth's crust ranges from 20 to 60 miles thick. Although the current (8th edition) of Brown's book still includes the 10 mi. figure, he recently modified his website to indicate that the pre-Flood crust varied from place to place, and was between 20 to 60 miles thick. While this allows one facet of his model to better coincide with geologic data, it exacerbates the problems discussed above. First, it worsens the irregularities that would invite cracks in the crust. Second, the greater thickness of the granite crust would make it even more difficult to deform severely and form the "pillars" without extensive cracking and earthquakes, immediately releasing the pressurized water below. Brown claims that centuries of "tidal pumping" from the pull of the Moon's gravity led to the eventual rupture of the hydroplates, implying that the start of the Flood was a natural and inevitable event. However, elsewhere he indicates that the Flood was directly initiated by God in response to mankind's rampant sinfulness, in accord with his literal interpretation of Genesis. Even other YECs such as have noticed this inconsistency and its troubling theological implications. Oard (2009) notes that this would imply that God created the earth as a "ticking time bomb." Brown denies this, stating (p. 371) that the Flood was "not inevitable at that time," because at the end of the creation week, everything created was "very good." But Brown immediately goes on to describe how God made the Earth with subterranean waters during the creation week, followed by various natural processes that eventually led to the crustal eruptions--which seems to reinforce rather than resolve the discrepancy. Adding to the confusion, Brown suggests on p. 376 of his book that if humans did not sin, they may have learned to drill into the Earth for geothermal energy and somehow averted the flood in the process. However, by Brown's own comments elsewhere, any small opening into the super-heated, super-pressurized waters below would have caused a massively violent eruption and initiated the Flood. Indeed, a few sentences later he suggests that because mankind sinned, human activities may have initiated the Flood by weakening the crust. In any case, his suggestions about human activities seem to not only contradict each other, but also his initial claim that the Flood was due entirely to natural, geologic events, and his later assertion that the Flood was directly initiated by God. While many readers of Brown's book would already be scratching their heads, Brown then states a "second possibility" (actually fourth, by my count) is that God "simply commanded the Earth's crust to crack or a pillar to collapse", adding that this is "not difficult to imagine." He then states, "The hydroplate does not assume that a miracle happened." Perhaps not, but didn't he just suggest it may well have? Good luck to anyone trying to sort all this out. 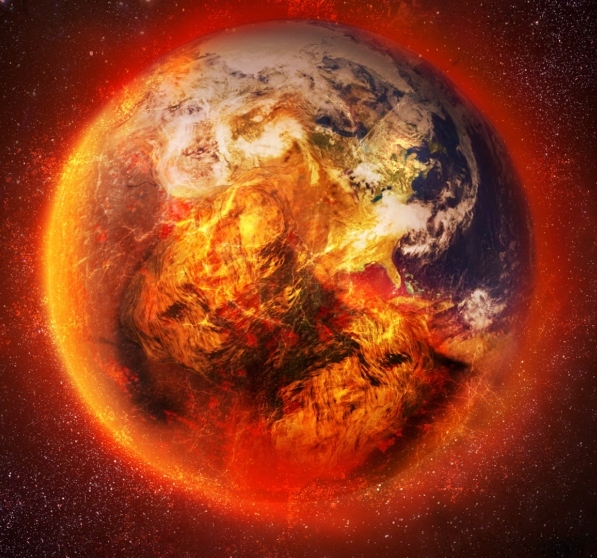 Another serious problem with Brown's model is the immense heat that would be generated during the proposed cataclysmic eruptions (Castagnoli, 2009; Morton, 2003), which would have literally boiled the oceans and steamed to death all animals and humans aboard Noah's ark. Appealing to supposed experiments with "supercritical water" (SCW), Brown claims the heat would be insignificant, but the calculations demonstrate that the heat would indeed be more than lethal. Sharp (2005) calculated that the energy released in ejecting just the still-orbiting asteroids is the equivalent to approximately twenty trillion hydrogen bombs. Sharp remarks, "The mind completely boggles how Noah and his family, together with his menagerie of animals and plants could have possibly survived all this in a large wooden boat!" Even more energy and heat would have been involved if one includes in the calculations the energy needed to launch all the material to explain all the other comets, asteroids, and meteoroids that have impacted on various planets and moons of our solar system (as evidenced by many millions of craters on many of them), and others that impacted the sun and gaseous planets, or escaped into outer space. Even YEC author Danny Faulkner (2013) of AIG demonstrated that the heat involved in the eruption phase alone would have been many times beyond lethal to all life on earth. In a video at his home page, and in the on-line draft of his 9th edition, Brown himself states that the energy released during the hydroplate eruptions would have exceeded 300 trillion atomic bombs (Brown, 2016). This makes it even more implausible that Noah and his cargo, or any macroscopic life on earth for that matter, would have survived the proposed hydroplate eruptions, to say nothing of the additional sources of massive heat and violence discussed below. In his reviews of Brown's book at Amazon.com, physicist Gerard Jellison calculated that the mass of particles and water vapor expelled from earth in order to explain the comets, asteroids, and meteoroids in our solar system would be over 100 times greater than the Earth's mass (Jellison, 2009a). He further calculated that if only 0.001% of the mass and energy of the eruptions wound up in the Earth's atmosphere, the atmosphere would have been raised by 3000 degrees F! Of course, Jellison was being very generous to Brown, since even leaving only 1% of the heat on earth would be thoroughly untenable. After all, Brown's theory holds that many cubic miles of super-hot, sediment laden water gushed through miles more of solid rock, then entire oceans, then miles more atmosphere. Even if his proposed forces allowed that, they could not occur without huge amounts of friction, turbulence, and steam release, and condensation on Earth--all involving massive amounts of energy and heat left on Earth. Indeed, according to Brown's own descriptions, diagrams, and videos, the eruptions or "jets" did not shoot up in tight vertical spouts or planes (even if they did, massive friction and steam release would occur), but spewed out violently both upward and outward as violent "fountains," with a lot of water and debris falling back to earth as "extreme rain." Meanwhile, also based on Brown's own descriptions, after the initial "rupture phase" the subsequent "undulating", "crashing", "sinking", and "sliding" of continent-sized hydroplates would have produced enormous amounts of heat and friction as continent sized plates sped across the entire planet within weeks, and entire mountains were pushed up in "hours." Still more heat, which Brown himself calls "massive" would have been produced from widespread volcanic activity and magma outpourings during these events. In view of all this, the energy and heat left on earth would be orders of magnitude more than 0.001%, which again, would be more than lethal to all life on earth. Yet another heat problem in Brown's model concerns the mixing of the surface oceans with the super-hot waters in the subterranean chambers. Brown indicates that due to nuclear decay and "tidal pumping," the subterranean waters become immensely hot and pressurized, and took on special properties to become "supercritical water" (SCW). Taking into account the temperatures needed to produce objects called chondrules in meteorites, which he believes came from Earth, he suggests that the temperature of the "SCW" water reached over 1300 deg F. He also states that the volume of the water in the lower chambers was about the same as the oceans above. The problem is, if the lower and upper waters mixed even a small amount during the Flood, which would have been inevitable, the oceans would have turned into boiling caldrons, killing virtually all sea life. 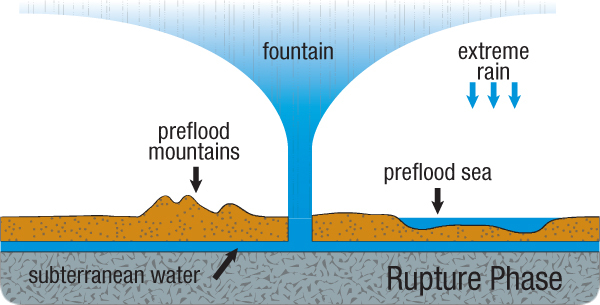 Even aside from the "extreme rains," (Brown's own term), significant mixing of the waters had to occur in order to accommodate several aspects of Brown's model, including supposed widespread "liquefaction" (discussed further below) and his proposed mechanisms for the formation of salt domes, limestones, mesas, and other geologic phenomena. Brown states, "As the SCW jets up into the cold sea water and cools, hydrocarbons quickly precipitate, paving the seafloor with a tar residue." Even setting aside the fact that the sea floors are not covered with tar, the processes he describes involve water temperature changes of hundreds of degrees, which would of course be more than fatal to most sea life. In his 9th edition draft Brown seems to further exacerbate the already immense heat problems in his model by proposing that the subterranean waters acquired extreme amounts of heat through deutrium fusion (a nuclear reaction). He suggests that the amount of nuclear energy added to the subterranean water over several weeks by forming deuterium was equal to "the energy released by 1,800 trillion 1-megaton hydrogen bombs!" To grasp the enormity of that number, note that the entire volume of the Earth's oceans is about 1.3 billion cubic kilometers (Gleik, 2006). If my math is right, that means that if even 1% of the proposed energy were left on Earth (still very generous to Brown), it would still leave the equivalent of almost 14 H-bombs for every cubic kilometer of sea water! Apparently seeing no problem with that (even though it would be enough to vaporize the oceans many times over), Brown suggests that the "1,800 trillion" figure is a "conservative estimate," because "other products of nuclear fission and decay would have added additional energy, and some water was expelled permanently from earth." (Brown, 2017, endnote 89, p. 425). Elsewhere Brown tries to remove or counteract some of this energy through other esoteric nuclear processes. However, the proposed nullifying processes seem questionable at best (discussed under the "Radiometric Dating" section below), and the magnitude of the initial nuclear energy alone seems extremely problematic, to say the least. The proposed hydroplate eruptions and volcanic eruptions would also have launched enormous quantities of aerosols and fine sediment into the atmosphere, leaving it heavily contaminated and largely opaque, on top of top of already catastrophic climate changes and habitat destruction. Jellison (2009a) remarks: "Brown never explains how the already stressed, genetically depleted organisms from the Ark could have dealt with the resulting climate changes and loss of photosynthesis." Meanwhile, according to Brown, huge masses of dissolved salt and calcium would have been released from subterranean deposits, and within days, formed the many salt domes and limestone deposits on earth. It's inconceivable how most ocean creatures could have survived these sudden and massive environmental onslaughts, especially since many are adapted to narrow ranges of salinity, acidity, turbidity, and other conditions. Of course, these problems are admittedly largely moot in view of the multiple sources of lethal heat in Brown's model (the most severe of which has yet to be mentioned). Fig. 3. 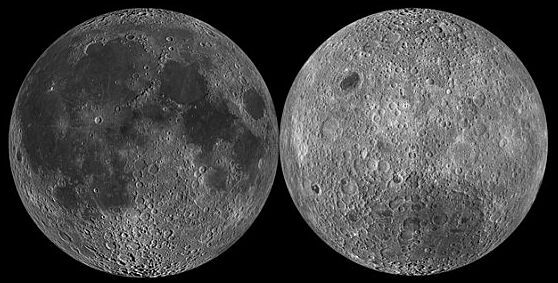 Near site (left) and far side (right) of the Moon. Credit: NASA. Attempting to bolster his claim that meteoroids, asteroids, and comets originated from Earth, Brown describes them all as "earth like" in composition. However, their composition is quite variable. For example, many meteorites contain large portions of iron and nickel, which does not match the proposed composition of Brown's hydroplates (mostly granite), nor the known composition of most of the Earth's crust. Brown tries to account for iron-rich meteorites by proposing that they came from the lower parts of the water chambers, where heavier metals sank before the hydroplates erupted, but overall meteorites have compositions considerably different from earth rocks (Korotev, 2015). For example, one of the major rock types on earth is limestone (and its metamorphosed form, marble) which are not found in comets, meteorites, or asteroids, except as small traces. Moreover, such traces are in inorganic forms, whereas most earthly limestones (discussed below) are largely composed of organic remains. Another line of evidence against Brown's claims about the earthly origin of asteroids is that, as Sharp (2005) notes, "We can calculate the motions of the asteroids back in time, and find no evidence at all that they originated from the Earth, or the vicinity of the Earth's orbit, a few thousand years ago. Indeed, their orbits correspond to them being in existence in many cases for billions of years, as determined from long term stability calculations taking account of the perturbations of the planets..." Brown's astronomical claims are also contradicted by the Baptistina asteroid family, which have similar orbits and evidently were produced by an ancient collision of two large asteroids. By tracing the orbits of the resulting asteroids back in time, augmented with data from the Wide-field Infrared Survey Explorer, astrophysicists have calculated that the original collision occurred about 80 million years ago (Rationalwiki, 2012). Moreover, as mentioned earlier, meteorites and impact craters found in Precambrian strata (Gilkson, 2013; Matson, 1995c) also refute Brown's claims about the earthly origin or meteoroids and asteroids, since Brown implies that Precambrian rocks are pre-Flood. Brown suggests that the near side of the Moon received far more and larger impacts than the far side, implying the objects that made them originated on earth. However, photos of the far side show even more craters than the near side. Brown acknowledges that the near side is "smoother," but attributes this to volcanism (as do conventional scientists) caused by a greater number of impacts. In any case, the far side is clearly heavily cratered, even though his model predicts it should be largely devoid of impacts. Brown suggests they were the result of material kicked up by the impacts on the near side, and as support he suggests most craters on the far side are small. However, the craters there exhibit size ranges similar to those on the near side, and include many large craters. In fact, it contains the largest crater on the moon, and one of the largest in the Solar System: the South Pole-Aitken basin (Dutch, 2009). This brings up another point, which is that Brown seems to have a major geometric problem with his thesis about the origin of comets, meteorites, and asteroids. That is, even if the ejections were somehow aimed largely at the planetary orbit plane (which seems untenable, considering the orbits and rotations of the Earth and other bodies), most of the ejected material would miss them, due to the vast spaces between the bodies (even giving due consideration for gravitational forces). Yet all planets and moons of our solar system capable of recording craters are densely covered in them. Even if many of the smaller craters were due to secondary impacts from material falling back from larger impacts, if one considers only the larger impacts, and extrapolates to estimate the immense number of asteroids and comets that must have missed the bodies, the volume of the ejected material would be many times the volume of the entire Earth! Brown promotes many other outdated arguments supposedly demonstrating a young earth. He claims that the Moon should have a thick layer of surface dust if it were really billions of years old. This claim was once popular among YECs, but was largely abandoned after strong refutations were published by both mainstream scientists and YECs (Matson, 1995b; Thompson, 2006; Snelling and Rush, 1993). The major YEC groups Answers in Genesis (AIG) and Creation Ministries International list this argument among those that creationists "should not use" (CMI, 2015). Brown argues that due to tidal friction, the Moon is receding from the Earth too fast to be over 4 billion years old. He presents two pages of calculations to demonstrate this. However, Brown's calculations and assumptions have been shown to contain serious errors. When these are properly accounted for, there is no inconsistency with a 4.6 billion year old Earth (Thompson, 2000). Furthermore, data from fossil corals and other geologic evidence confirm the mainstream conclusions on lunar recession, and on the related issues of the Earth's rotation and change in the length of the day (Strahler, 1987; Isaac, 2005). Despite the existence of the effective refutations cited here, as is often the case, Brown fails to even mention or reference them, let alone adequately deal with contrary evidence and writings. According to Brown, helium enters the atmosphere through radioactive decay much faster than it escapes, so that the current level of helium could be produced in only 40,000 years. Besides this being far older than Brown believes the Earth is, he ignores the processes of ion outflow (Lie-Svendsen and Rees 1996), and thermal escape, as well as satellite evidence of helium loss from the atomosphere. When these factors are taken into consideration, helium levels in the atmosphere provide no support for a young earth. For a detailed refutation of YEC claims about helium diffusion dates see Henke (2010). Many stars have been calculated to be millions of light years from earth, implying that the universe cannot be only several thousands of years old as YECs claim; otherwise there would not have been enough time for the light to reach the Earth since the stars formed. In order to deal with this problem, Brown asserts that the speed of light has decreased exponentially since the creation week. He bases this claim largely on the work of Barry Settlerfield (1981, 1982, 1983; Norman and Setterfield, 1987), who claimed that the speed of light was initially billions of times faster than it is today. However, both mainstream and YEC workers have shown that Setterfield's work involved serious statistical and methodological flaws (Hastings, 1987a; Aardsma, 1988a, 1988b; Jellison and Bridgman, 2007; Jellison, 2009d; Ebert, 1997). When these are taken into account, no statistically significant changes in the speed of light are found from the earliest measurements to present. Observations from Supernova SN1987A further confirmed that the speed of light has not changed appreciably in the past 170,000 years (Matson, 1994). Moreover, Brown fails to address the serious ramifications of a dramatically higher speed of light, including the fact that as a result of increased radioactive decay, the Earth would have melted within days (Morton et al, 1983)--adding to the already insurmountable heat problems in Brown's model. While attempting to refute the "Big Bang" model of the origin of the universe, Brown cites the work of William G. Tifft (1991) on "redshift quantization." Brown states, "If redshifts are from objects moving away from Earth, one would expect redshifts to have continuous values. Instead, redshifts tend to cluster at specific, evenly-spaced values." However, more recent and precise surveys of quasars have produced no evidence of quantization in excess of that expected from galaxy clustering (Tang, 2005), leading the vast majority of cosmologists to reject the concept of redshift quantization. Brown argues that the Grand Canyon, plateaus, salt domes, earthquakes, oil and coal deposits, and other geologic phenomena are all better explained by his model than conventional explanations, However, in many cases he neglects or oversimplifies much of the mainstream research that provide the conventional explanations, and which often strongly contradict his model. It would take a book longer than Brown's to detail all of the problems in his claims, but the examples discussed below should give a good indication of Brown's credibility and approach. Brown argues that most sedimentary rocks were derived from the eroded granite hydroplates, along with deposits of calcium and salt deposits which he says accumulated in the subterranean chambers before being released during the Flood. Thus, we should expect most of the Earth's sedimentary strata would be made largely of eroded granite, along with deposits of salt and inorganic calcium. Brown states that the sedimentary strata of the Earth are "typically parallel, thin, uniform in thickness, vast in area.... " and asks, "Why are strata so uniform in hardness?" Actually, rock strata are far from uniform in hardness, thickness, composition, or geographic extent. Even in one outcrop they can vary from very soft and friable layers to incredibly hard beds. Strata also very greatly in grain size, type, and distribution, and many other features, precisely because they were deposited in many different environments and in many different ways. Extensive evidence indicates that most limestone deposits are not produced by rapid precipitation of inorganic calcium, but gradual accumulation of organic material (discussed further below). Throughout much of the geologic record we even find many "paleosols" (ancient soil beds) which are incompatible with Brown's model. Brown argues that the mid-Atlantic ridge, deep ocean trenches, and "ring of fire" volcanism, and mountain building are all better explained by his model than conventional plate tectonics, even though extensive geologic evidence indicates the opposite. Brown especially objects to the concept of subduction, where one tectonic plate is pushed under another over millions of years, gradually forming mountains and ocean trenches (Keary et al, 1996; Thompson, 1997). Brown claims that subduction is physically impossible; however, elsewhere in his book (p. 135) he argues that the reason the oceanic ridge appears to disappear under western North America is because "The North American plate probably overrode that segment of the ridge...", which implies subduction. Moreover, Brown's calculations purportedly proving subduction impossible have been shown to contain serious errors (Thompson, 1997). Not only is there compelling evidence that plate movements and subductions have occurred and are still occurring, but their rate has been precisely measured, and the geologic details of the movements well mapped in places (Zhao et al, 1997). Ironically, it is Brown's assertions that continent-sized "hydroplates" slid thousands of miles in a matter of months, and that entire mountain ranges were pushed up in a matter of "hours" as hydroplates "crashed" that strongly contradicts physical principles and extensive geologic data. Fig. 4. Colorado River Delta seen from space. Isla Montague is the large island in the center. Grand Canyon's Colorado River: Missing Delta? Discussing the origin of the Grand Canyon, Brown writes: "...the standard answer has been that primarily the Colorado River carved the Grand Canyon over millions of years. If that happened, wouldn't you expect to find a gigantic river delta where the Colorado River enters the Gulf of California? It's not there. Nor have geologists found it anywhere else." This is a very odd claim, since the Colorado's Delta (Fig. 4) is massive and well documented. In fact, it is one of the largest deltas in the world, covering over 3300 square miles, and extending to a depth of 3.5 miles (Jennings and Thompson, 1986). 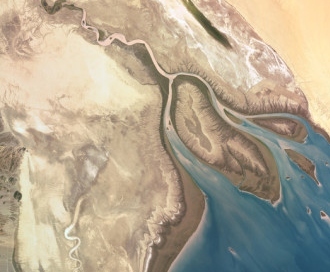 Before major dams were built along the river, the vast delta wetlands supported one the largest, wildlife-rich estuaries on earth, covering much of the northern end of the Gulf of California. Seismic evidence indicates that additional sediments were once deposited by the river, but shifted northwest with the movement of the San Andreas and related faults (Winker and Kidwell, 1986). Additional sediments were deposited in flood plains between the delta and the Grand Canyon. Still more sediments were lost to air-blown erosion, and to the dissolution of limestone and dolomite, which did not settle into the delta (Neyman, 2015). Even with the loss of such sediments, those that remain comprise a vast and well-known delta, in stark contradiction to Brown's claims. 1. Publishing status. Brown has not published these new proposals in rigorous scientific papers, even in the creationist press. 2. Undemonstrated extrapolations. Brown evidently bases his new ideas largely on anecdotal accounts of unusual forms of lightning and other atmospheric observations, along with highly specialized lab experiments involving small-scale phenomena. He has not shown with calculations or other rigorous data that these phenomena would apply in subterranean water chambers during a global Flood, let alone at the precise levels needed to explain the amount and patterns of nuclear decay in the geologic record. 3. Lethal radiation. Even if the proposed mechanisms generated the needed accelerated decay rates, the massive radiation levels they generated would be more than lethal to humans and most other life forms (Fleming, 2012). 4. Lethal heat. Vastly accelerated nuclear decay would also generate lethal levels of heat, greatly exacerbating the already deadly heat from other aspects of Brown's model. Meert (2002) states, "Radioactive decay at a rate fast enough to permit a young earth would have produced enough heat to melt the Earth." Brown has denied this, and recently argued that certain isotopes created by the p. effect would absorb a lot of the heat. But again, he has not rigorously demonstrated that his mechanisms would apply during a Flood, or generate the specific decay rates he needs, let alone eliminate the heat problem. 5.C14 dates unexplained. Apparently his proposed mechanisms would not apply to atmospheric carbon, and thus not explain C14 dating results. 6. Deepest rock dates unexplained. His mechanisms would be expected to affect sediments involved in the Flood, but largely exclude deep Precambrian strata, even though they yield the oldest radiometric dates. 7. Sloping patterns. None of his mechanisms explain the overall, slopping patterns of radiometric dates from stratigraphically lowest to highest rocks, since his model holds that almost all sedimentary rocks were generated within a single year, meaning that even the oldest and youngest rocks would be separated by at most 6,000 years. Yet the slopping patterns do exist, and are well documented for several different dating methods. 8. Conflicting dates from meteorites. Most yield radiometric ages from 4.5 to 4.6 billion years BP (Krot, 2002; Krot et al, 2002; USGS, 2009), rather than showing a much wider range similar to earth rocks, even though Brown asserts they were all ejected from earth at the time of the Flood (the early stage of the Flood), and that they are made from the same materials. 9. Conflicting dates from the Moon and Mars. Rocks from these bodies have been radiometrically dated from 3.0 - 4.5 billion years (Farley et al, 2013). If Brown believes all of the dated rocks came from earth (which is not clear), the same problem apples as in number 8 above. If he accepts that some did not come from earth, then his mechanisms cannot account for these old dates, unless he envisions hydroplate floods on the Moon and Mars. 10. Several idependent radiometric dating methods give larvely consistent results indicating that the Earth is approximately 4.6 billion years old. These results are further corroborated by other, non-radiometric dating methods (Dalrymple, 1991, 2000, 2006; Strahler, 1987; Young, 2008). While trying to account for limestones in his hydroplate model, Brown shows a picture of the famous "White Cliffs of Dover" (Fig. 5) in England--a massive limestone outcrop. He suggests the strata were formed from precipitated calcium originating in the sub-crustal waters, and that "a simple, visual examination of limestone grains shows that few are ground-up seashells or corals, as some believe." However, Brown's statements are misleading at best, since no paleontologist claims the Dover Cliffs or most other limestone deposits are made of "ground up" macrofossils. What they do maintain, based on abundant evidence, is that most are composed of the accumulated remains of numerous microfossils (Fig. 6) such as foraminifera, coccoliths, and calcareous algae, as microscopic examinations of the rocks readily reveals. The Dover limestones and many others also contain a large number and variety of intact macrofossils that can be easily seen with the naked eye, including ammonites (extinct squid-like creatures with coiled shells), mollusks, echinoids (urchins), brachiopods, sponges, corals, crinoids, and shark teeth (Shepherd, 2012)--all incompatible with his assertion that the formation represents chemically precipitated calcium carbonate. Although not clearly explained by Brown, fossils in each geologic period show a characteristic assemblage of organisms, which differ from those in preceding and succeeding periods, and conform to expected evolutionary patterns--a widely recognized phenomenon known as "fossil succession." 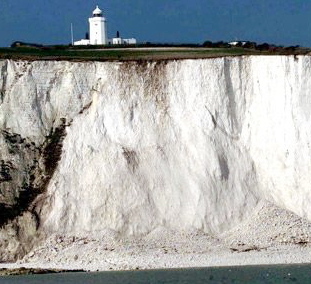 For example, the previously discussed White Cliffs of Dover contain fossils typical of the Cretaceous period (certain corals, gastropods, ammonites, etc. ), which differ from the fossils in periods above and below, and which change even within the period. Likewise, vascular plants first appear in the late Paleozoic, but many others do not arise until the early Mesozoic, and flowering plants not until the early Cretaceous. Many other examples could be cited. Brown claims that "liquefaction" during the Flood explains "fossil layering". However, it is not even clear how liquefaction could be very applicable to his model, let alone explain fossil succession. In geologic usage, liquefaction normally refers to damp, sandy rock or soil becoming fluid-like during earthquakes. In contrast, a large portion of fossils occur in shales, limestone, dolomite, ash beds, clay, and other sediment types which were clearly not produced by liquefaction. Also, since Brown claims that most sediments were eroded at hydroplate edges, the sediments would already be under water and unconsolidated, and thus not involve liquefaction. Brown describes an apparatus he built with two 5-gallon jugs on each end of a 10 foot pole --one filled with water and the other with a "mixture of different sediments." He claims that his manipulations of this device demonstrated how sediments liquefy, and how fossils and particles sort together by "size, shape, and density." However, Brown doesn't say what kinds of sediments he included, or what organisms he used (obviously no large ones). Even if this simplistic exercise represented a realistic representation of conditions during a violent global Flood, or a realistic liquefaction scenario (and it seems far from either), and even if sediments and fossils sorted in the manner he describes, it would do more to undermine than help his case. Even though local sorting can occur, on global scale neither sediments nor fossils are sorted by size, shape, and density. If they were, we would see large heavy boulders concentrated at the bottom of the geologic column, and the particle size and densities getting smaller toward the top of the column, which is not what we find. Instead we find sediments of many different sizes, shapes, and densities occur in every geologic period. That's because, as demonstrated by many lines of evidence, they were not produced from a single global Flood, but under different conditions over extended periods of time. If Brown's apparatus results and assertions really matched the fossil record, we should find, for example, large modern mammals (rhinos, hippos, cattle, horses, etc.) sorted with medium and small sized dinosaurs, whales and dolphins deposited with mososaurs and ichthyosaurs, many modern boney fish preserved with ancient placoderms and jawless fish, and many modern aquatic arthropods (crabs, lobsters, etc.) sorted with ancient arthropods like trilobites and eurypterids. None of these combinations are ever found. Brown describes another experiment, conducted by Loma Linda University (which holds to YEC views), where a dead amphibian, reptile, mammal, and bird were placed into an open water tank. Brown reports that "the natural order of settling following death was, from the bottom up, amphibian, reptile, mammal, and finally, bird", suggesting that this essentially matched the order of fossils in the geologic record. There are several problems with this experiment. First, it was not published in any scientific journal, but was simply an anecdotal account, lacking in many details. We are not told what specific animals were chosen, whether they all died at the same time (which would relate to decomposition and bloating), what if any sediment was in the tank. Brown mentions "buoyancy" and settling from bottom to top, implying they recorded the order in which the animals floated to the surface. But if so, it would be largely irrelevant to the order in which they would be buried and preserved as fossils. Second, each of these groups includes thousands of different species of many different sizes, shapes, etc., so depending on which species and individuals (young vs. old, etc.) were chosen, one could get almost any results, including an order opposite the one reported. Third, even if the results consistently showed the same order, they would not be a good representation of the actual fossil record. For example, amphibians do not appear in the lowermost sediments, nor are they confined to the period in which they first appear in (Devonian). They occur in every subsequent period as well, in different forms. Granted, this would not even be possible to show in the experiment, since only one specimen for each animal group was included, which is another problem with it. The important point is that in the fossil record, different types of organisms appear in different periods, with the oldest (stratigraphically lowest) species generally the most different from modern ones. This is consistent with evolution, not the Loma Linda experiment or Brown's model, or his apparatus results. This applies not only to the four types of vertebrates used in the Loma Linda tank, but also fish and countless invertebrates, which the Loma Linda team did not include in the tank, even though they are more common as fossils than the groups they included. The term "polystrate fossils" was coined by YEC authors to describe fossils that extend through multiple sedimentary layers, such as tree trunks that sometimes buried in a vertical position. Brown and other YECs implying that such finds are a problem for "evolutionists", and support a global Flood, but their attempts to make hay out of them turns out to be a straw-man argument. Brown implies that based on "uniformitarian" principles, mainstream geologists hold that all sedimentary beds were laid down slowly over millions of years, which would not preserve the upper part of the trunk. However, this is a misleading depiction of uniformitarianism, which simply holds that present geologic processes (including occasional violent events) explain most geologic features. Geologists have no trouble accepting many examples of exceptionally rapid burials, though local floods, storms, mudslides, volcanic eruptions, tsunamis, etc. These are perfectly capable of explaining "polystrate fossils," without requiring a global Flood (Lindsay, 2009), and without discounting the abundant evidence that in many other cases, sediments were deposited more slowly and over long periods of time. (Vendian rocks) of southern Australia. those Walt Brown implies do not exist. Brown states: "The 'evolutionary tree' has no trunk. In what evolutionists call the earliest part of the fossil record (generally the lowest sedimentary layers of Cambrian rock), life appears suddenly, full-blown, complex, diversified, and dispersed worldwide. Evolution predicts that minor variations should slowly accumulate, eventually becoming major categories of organisms. Instead, the opposite is found. Almost all of today's plant and animal phyla including flowering plants, vascular plants, and vertebrates appear at the base of the fossil record. In fact, many more phyla are found in the Cambrian than exist today. 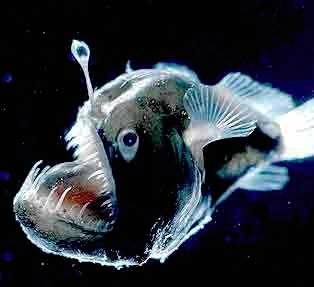 Complex species, such as fish, worms, corals, trilobites, jellyfish, sponges, mollusks, and brachiopods appear suddenly, with no sign anywhere on earth of gradual development from simpler forms. 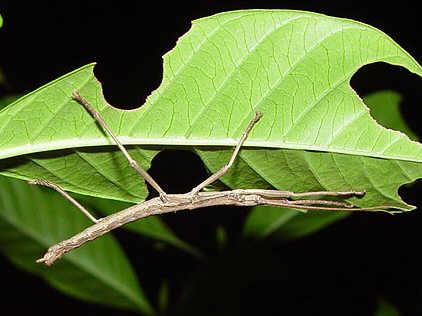 Insects, a class comprising four-fifths of all known animal species (living and extinct), have no known evolutionary ancestors. Insects and other arthropods found in amber, supposedly 100-230 million-years-old, look like those living today. The fossil record does not support evolution. In this one paragraph Brown manages to make several false and misleading claims. 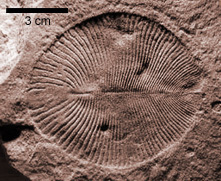 First, contrary to Brown's suggestion, the earliest fossils are not found in the lower Cambrian, but in the Precambrian. Many indisputable Precambrian fossils are known, including stromatolites (matted algal & bacterial structures), and a large variety of soft-bodied forms and trace fossils from several locations, dated between 542 and 635 million years (Fig. 8). These soft-bodied fossils are often referred to as Ediacaran or Vendian biota (Fortey, 1999; Hazen, 2013). 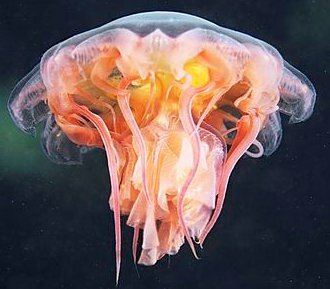 Although their taxonomic status is debated, some may be forerunners of known phyla, but are not readily identified with any extant orders or classes, let alone modern species. Likewise, Brown's comment about "Complex species, such as fish, worms, corals... " appearing in the lowest beds is similarly misleading. These entities are not "species" but much larger taxonomic groups--at the Class or higher taxonomic level. This is critical, because by using this linguistic sleight of hand, Brown gives the impression that many modern species occur at the lowest levels of the fossil record, when in fact none do. Even most extant genera and families are not found in either the Precambrian or Cambrian, nor even in the rest of the Paleozoic. However, as one progresses up the fossil record, more modern families and then genera begin to appear, and finally, in the upper most strata, more genera and species appear more like modern ones. This well documented pattern of "fossil succession", discussed in more detail later, which holds for all groups of plants and animals, is strong support for evolution. Brown can only state the opposite conclusion by obscuring the actual fossil evidence. Brown's remarks about flowering plants and vertebrates (animals with backbones) likewise foster the impression that many modern species of plants, fish, amphibians, reptiles, mammals appear at the start of the fossil record, whereas in reality, none do. Not only do no modern angiosperm or vertebrate species appear anywhere in the Precambrian or even Cambrian (although in the YEC paradigm, one would expect to find many there), we don't even find any extant classes, families or genera of these groups in either time period. The earliest flowering plants do not appear until the Mesozoic Era. The earliest amphibian-like animals occur in the Devonian; the earliest reptile-like animals in the Pennsylvanian; the first mammal-like reptiles in the Permian, and the first true mammals in the Cretaceous. Even when mammals appear, they do not include any large modern ones, even though again, by the YEC paradigm, they should. All of this supports evolution, and starkly contradicts the picture Brown paints. Brown claims that there is no sign that any of the groups he mentions show an origin in "simpler" forms is also misleading. Whether "simpler" or not, each of the groups he mentions shows fossil evidence of intermediate forms. as well as claws on the forelimbs, teeth, and a long, bony tail. 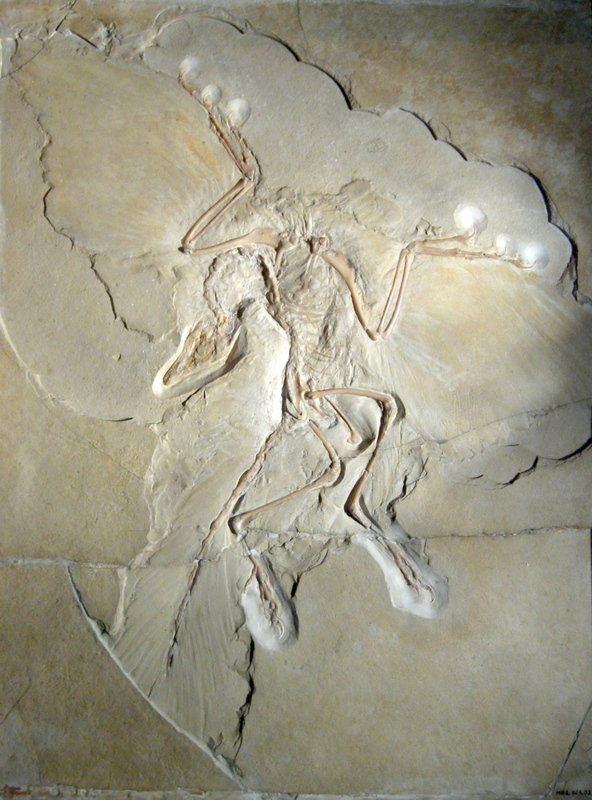 Several other Archaeopteryx specimens also show feather impressions. Brown disputes that any valid intermediate fossils exist, but often neglects or mischaracterizes evidence for them. For example, he argues that the famous fossil Archaeopteryx (an apparent dinosaur-bird intermediate), is a likely forgery --supposedly a small theropod dinosaur with added feather impressions artificially pressed into a glue-like material. This notion, initially promoted by the late Fred Hoyle, a prominent astronomer with no paleontological training or experience (Hoyal and Wickramasinghe, 1986), has been thoroughly debunked (Charig et al, 1986; Nedin, 1997). Brown suggests that only two specimens (Berlin and London) of Archaeopteryx show feather impressions, and implies both are in doubt (even though Hoyle only examined the Berlin specimen (Fig. 9). In actuality, several other specimens also show definite feather impressions: the London, Eichstatt, Maxberg, Solnhofen, Haarlem, and Munich specimens, plus an unnamed specimen in a private collection. 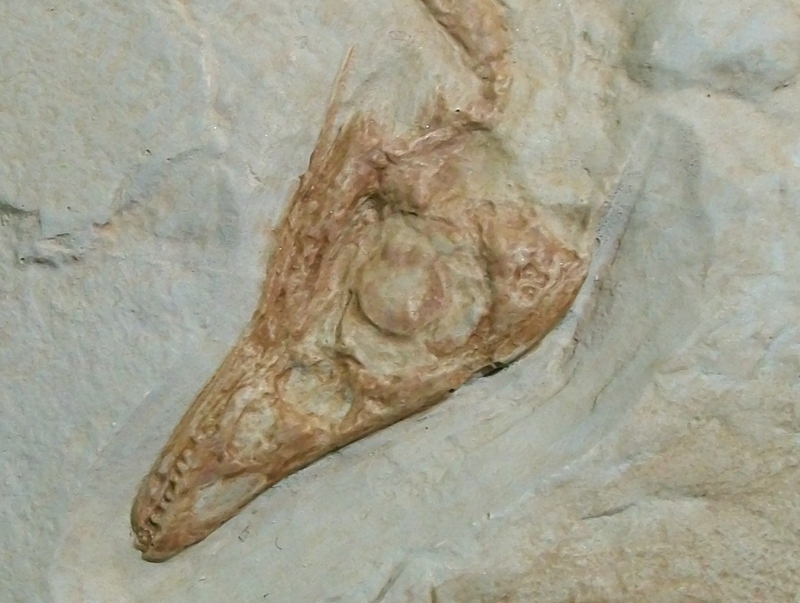 Brown incorrectly implies that except for the feather impressions, these fossils would be identical to the small theropod dinosaur Compsognathus. However, his cited source merely states that Archaeopteryx closely resembles small theropods "such as" Compsognathus, not that they are identical. Indeed, despite their similarities the two genera exhibit a number of clear differences (Fig. 9b). For example, Compsognathus has far shorter fore limbs, almost twice as many vertebrae in its tail (40 vs 23), and prominent haemal arches (bony processes extending off its tail vertebrae), which Archaeopteryx lacks. Even most YECs reject the claim that Archaeopteryx is a fraud, but also reject it's transitional status. Ironically, most YECs argue that Archaeopteryx is 100% bird, whereas Brown argues that it is 100% dinosaur. In reality, it shows many features of both. The reptilian features include teeth in the jaw, lack of a horny beak, claws on the forelimbs, and a long, boby tail with unfused vertebrae; the avian features include a full set of flight and tail feathers, and largely opposable halluxes. Brown asks how the leap from land animals to whales could have been made, but does not discuss the many fossils that shed considerable light on this transition (Babinski, 2015; Perrin et al, 2009; Thewissen, 1998, 2014). Brown also does not mention that even some modern whales, especially Right Whales, show vestigial hind limbs (Gingerich et al, 1990, 1994). Brown implies no intermediates are known between fish and amphibians, ignoring a number of classic examples, including Tiktaalik, which shows a variety of features intermediate between these two groups (Daeschler et al, 2006). 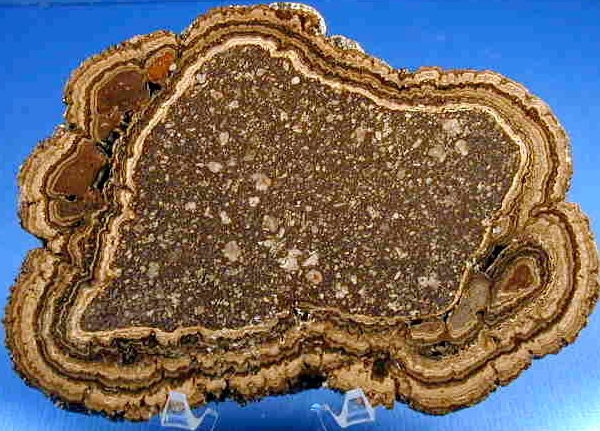 Brown insists no transitional forms have been found in amber (fossilized tree resin). Ironically, however, one of the most impressive intermediate fossils was an insect found in 1966 in Cretaceous amber in New Jersey (Fig. 10). Assigned to a new genus, Sphecomyrma, it showed intermediate features between wasps and ants. Since then other specimens of Sphecomyrma have been found, two of which have been assigned to new species, and also show intermediate features (Simmons, 1997). 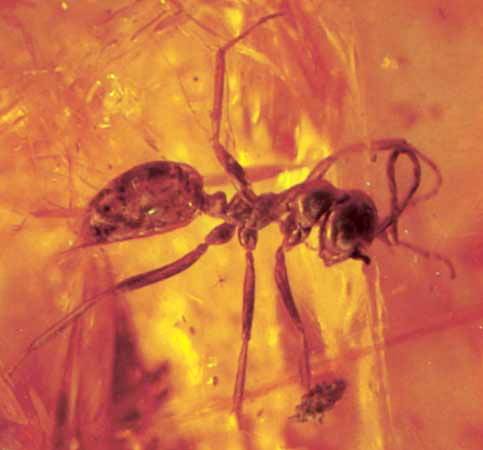 Another intermediate insect in amber is the earliest known myrmecophile (ant-loving) rover beetle from the early Eocene of India. It shows a number of primitive features, including distinct abdominal tergites, which are fused in modern Clavigertites (Parker and Grimaldi, 2014). One of the groups with a number of compelling intermediates is primates. Indeed, fossil hominids show such a range of intermediate forms that despite YEC insistence that all are either "just apes" or "fully human", Brown and other YECs can't seem to make up their mind on which are which (our next topic). For many more examples of intermediate fossils, see "List of Transitional Fossils" at Wikipedia (2015), and "Transitional Fossils" at RationalWiki (2015). Brown dismisses the evidence for human evolution by oversimplifying and neglecting much of the relevant evidence. He mentions two early finds of Homo erectus ("Java Man" and "Peking Man"), implying that early workers believed they were just apes, and that the Peking fossils were lost during World War II--as if they were the only evidence known for this species, and dubious evidence at that. Actually, casts of Peking man (Homo erectus pekinensis) were made and are still available, and many subsequent specimens of H. erectus have been documented. All show features intermediate between humans and earlier hominids --in skull shape, dentition, brain capacity, etc. (Foley, 2002). Moreover, even the early author Brown cites (DuBois, 1937) did not say they were just apes, but possibly "allied" (related) to gibbons. The early workers discussing Peking Man actually drew the opposite conclusion Brown implies, stating "...these are creatures with physical characteristics intermediate between the group of anthropoid apes and the group of Hominians." (Boule and Vallois, 1957). Brown cites a paper suggesting that Homo habilis (Fig. 11) should never have been classified in the genus Homo, implying that it too was merely an ape, even though its remains are often associated with stone tools, and a number of other YECs argue that it was probably "human." In fact, like H. erectus and other hominids, it exhibits intermediate features, as the same author acknowledges, whatever the taxonomic and nomenclature issues. True to form, Brown implies that all Australopithecus species (including A. afarensis -"Lucy") were merely apes, citing an author who concluded that some Australopithecines could swing from trees. However, Brown did not clarify that the same author concluded (as have many others) that Lucy and most other Australopithecines could also walk bipedally, even if not as efficiently as modern humans (as would be expected for an intermediate form). In a thorough review of Brown's hominid claims, Jim Foley (2002) showed that virtually every statement by Brown on the subject is erroneous or misleading. He also noted that some of the strongest evidence for human evolution, such as ER 3733 (a Homo ergaster specimen) and WT 15000 ("Turkana boy") were not even addressed by Brown (Foley, 2002). Foley mentioned that despite Brown's professed eagerness to debate evolutionists, when he invited Brown to respond to his critiques, Brown declined (Foley, 2004, 2004b). For a summary of key hominid finds, many which are ignored or mischaracterized by Brown, see Foley (2011). Brown proposes that soon after the Flood began, freezing rain caused many mammoths to become "flash-frozen," after which they were quickly buried with many additional layers of sediment--supposedly explaining why some still have flesh attached and food preserved in their stomachs. However, only a small number of frozen mammoth carcasses have been found in this state, compared to the many thousands of bones lacking any flesh or stomach contents. Brown's model also does not explain why countless other large animals, including dinosaurs (or Noah and his ark passengers for that matter), were not also "flash frozen." Indeed, for reasons previously discussed, they would be much more likely to be broiled and incinerated than frozen. Moreover, a number of mammoth and mastodon specimens show evidence of scavenging and/or significant decay before burial, which further undermines Brown's claims. Finally, in view of Brown's belief that mammoths were buried in the early stages of the Flood, and his hydrologic sorting claims (discussed further below) their remains should be found among the lowest fossil-bearing strata. In contrast, they are consistently found in stratigraphically high geologic horizons, which almost all other YECs consider post-Flood. Brown states that to his knowledge no marine fossils, limestone deposits, or coal seems have ever been found below mammoth remains. However, at dozens of sites in the U.S. alone, mammoth remains and other Pleistocene fossils have been found above one or more such beds. For these and other reasons even other YECs have strongly criticized Brown's mammoth claims. Writing for AIG, Snelling (2002) lists "snap frozen mammoths" among the lines of evidence that fellow creationists "should not use," while CMI author Oard (2004, 2013) includes a chart summarizing seven lines of evidence that strongly contradict Brown's frozen mammoth claims. Brown suggests that coal was formed as a result of large floating mats of vegetation, which has been well refuted (Morton, 2004). Based on the thickness of many coal seams and amount of compressed vegetation it represents, there would have had to be floating vegetation mats hundreds of feet high, or laid down one on top another. Brown suggests many thin layers of plant remains would be concentrated together through "liquefaction" (a misguided idea, already dealt with), and has no way to explain how, even if these mats formed, they would stay together during a catastrophically violent flood. Brown says these mats included "leaves, ferns, grass, and wood fragments." However, neither grass nor other angiosperm remains are found in coal, even though if YECism were true, there should be. What is found in coal are plants typical of the period in which they are found. For example, in the abundant Carboniferous coal deposits, the most common fossil plants are extinct seed ferns, whose leaves superficially resembled those of modern ferns, but which reproduced with seeds instead of spores. Brown and other YECs also have a major problem accounting for the sheer volume of coal on earth. According to Ricklefs (1993), there are 1.16 x 1013 metric tons of known coal reserves, and at least 100 times that much unrecoverable organic matter in sediments. A typical forest, even if it covered the entire earth, would supply only 1.9 x 1013 metric tons. And most coal is clearly made of particular type of plants, and most occurs in Paleozoic and Mesozoic strata, which Brown and most other YECs consider Flood deposits. In short, the amount of coal on earth is far too large to have existed at the time of the Flood, and therefore most have grown and accumulated over long periods of time. Fossils on Mountains - A Geologic Mystery? Brown suggests that fossil shells on mountains are controversial and a mystery to geologists. He states that if mountain ranges like the Himalayans rose millions of years ago as geologists believe, "the fossils on top should have eroded away." This is a naive comment, evidently based on Brown's mistaken assumption that fossils were preserved only on the surface of the highest beds. In reality, abundant evidence indicates that fossils occur throughout the sedimentary beds comprising the upper portion of these mountains. These layers were once much lower, at the bottom of the shallow Tethys sea about 400 million years ago--before they were later uplifted by the collision of the Indian and Eurasian continental plates, starting about 65 million years ago. In the case of Mt. Everest, the upper 250 meters (~800 ft) are composed of partially metamorphosed limestone, dolomite, and siltstone/shale of the Ordovician age Qomolangma Formation, which contains certain trilobites, crinoids, and osctracods that represent species typical of the Ordovician period. Under these beds are more heavily metamorphosed rocks (marble, gneiss, etc.) containing fewer fossils, and still farther down, non-fossiliferous basement rocks (Sakai et al, 2005; Green, 2015). None of this requires or implies a global flood, let alone Brown's hydroplate model, which in many ways conflicts with the data, and does not explain the type and order of fossils found here or at thousands of other sites. A lot of the fossil-bearing rock has eroded from these mountains, but a lot is still left, so the mountains can continue to erode for many years, and still show abundant fossils. were not formed in the ways Brown suggests. Brown also cannot explain how many such limestones (and other geologic formations supposedly deposited during the Flood) contain thousands of dinosaur tracks (Fig. 12) and other vertebrate trackways, and in many cases, extensive invertebrate burrows (sometimes millions on one surface), as well as numerous surfaces with mud cracks. All of these phenomena are indicators of relatively calm, low-energy, shallow water or dry environments which dramatically contradict Brown's violent Flood scenario (Kuban, 2006a; Morton, 2003b). Even more problematic are vast dinosaur nesting sites, which obviously could not form during a violent global Flood (Carpenter, 1999; Chiappe and Dingus, 2001). Brown suggests that fossil tracks, ripples, burrows, etc. would be preserved if liquefaction stopped at the boundary of "lenses" where they might occur, without explaining why the liquefaction would conveniently stop at footprint surfaces. Even more problematic is the question of how dinosaurs and other creatures would be walking around during the midst of a violent global flood, let alone mating, building nests, and laying eggs. Brown suggests that salamanders might have swum to the top of a "lens" of sediment to make tracks on its surface, while (if I understand Brown correctly) still underwater and surrounded by sediment. However, this imaginative scenario doesn't work for countless dinosaurs and other land animals, even for tracks let alone nesting sites. Of course, it's not plausible for salamanders either, since the conditions are far from those realistically needed for track formation and preservation (Kuban, 1994), even if the animals somehow survived the lethal conditions discussed earlier. 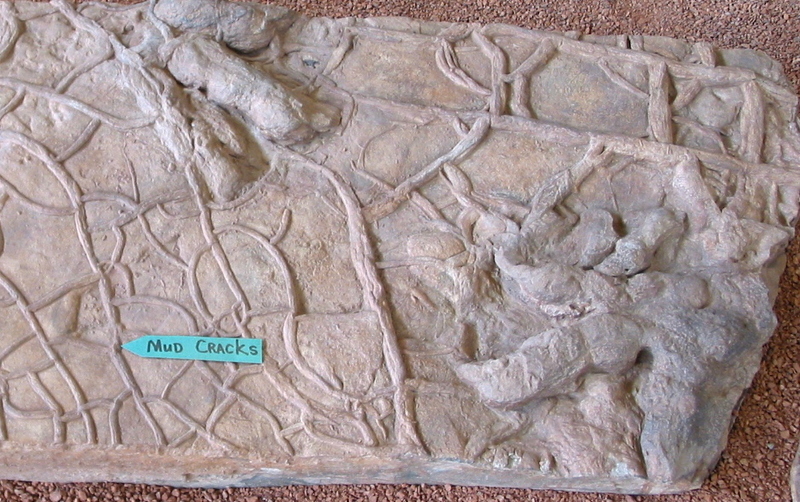 The fact that many vertebrate trackways also cross mud cracks (Fig. 13) and even raindrops in some cases (indicating exposed sediments) further refutes Brown's claims about fossil tracks. 1. It would be unusual for there to be continuous deposition in any one spot for all of geologic history. 2. Despite this, at least 25 sites around the world have been documented where every period of the fossil record from Cambrian onward is exposed, with each period in the expected mainstream order-- and all containing fossils typical of that period (Morton, 2001). 3. There are tens of thousands more outcrops around the world where multiple periods are exposed at individual sites --with all the periods and fossils within each in the expected mainstream orders. 4. The fossils at all these sites comprise literally trillions of specimens, all in expected mainstream (evolutionary) orders. This situation is a serious problem for Brown and other YECs, since according to their view, all organisms were living at the same time before the Flood, and therefore many should have been buried and preserved together, or at least at the same stratigraphic horizons. Again, any hydrologic sorting would not help, but foster the comingling of modern and ancient forms in the fossil record. Other YEC proposals for explaining fossil succession, elsewhere encouraged by Brown, such as ecological zonation and differential escape abilities, fare no better, and in some cases also make the matter worse (Strahler, 1987). For example, differential escape abilities cannot begin to explain fossil succession for plants (which of course cannot run for higher ground), and many ancient marine animals had extensive and overlapping habitats (many swimming or drifting widely throughout the ocean), yet are not found together as fossils. If YECism were true, countless thousands of "out of place" (OOP) fossils would be readily found and well documented. Brown asserts that fossils are "frequently" not found in the expected order, but the examples he offers range from poorly founded to well refuted, and are not endorsed by any major creationist groups. Brown states that human-like and dinosaur tracks have been found in Arizona, and a supposed "shoe print" with trilobites in Utah. However, the Arizona markings are lacking in any distinct human features, and appear to be merely inorganic structures, or in some cases, severely eroded dinosaur tracks (Kuban, 2007). They are even less convincing than the supposed Paluxy "man tracks" which most YECs abandoned in the 1980's after rigorous refutations were published (Kuban, 1986a, 1986b; Hastings, 1987b, 1988). The alleged "shoe print" from Utah, sometimes called the Meister print or a "sandal print," has also been well refuted, and rejected even by most creationists. Upon close inspection it appears to be merely an iron concretion which happened to spall in a manner creating an oblong shape. The "heel" is part of a crack, and the alleged print was not part of a bedding plane, nor in any striding sequence (Kuban, 2011). Brown mentions that similar putative tracks have been found in the area, without clarifying that they too show no convincing evidence of being real human footprints. Brown claims that 86 consecutive "horse" prints were found in dinosaur age rocks in Uzbekistan, citing the Moscow Pravda (hardly a reliable scientific publication), without any photographic evidence or corroborating scientific reports. Brown asserts that a Science News article reported that dinosaur tracks and "hoofprints [sic] of some other animal" were found in Virginia. Brown seems to imply that the latter are out-of-place (OOP) mammal prints. However, the popular-level article, which discussed a large Triassic tracksite near Culpeper, VA with hundreds of dinosaur and reptile tracks, used the term "hoof-shaped" only loosely to refer to some indistinct quadruped reptile prints. When better preserved tracks of the same type were later documented at the site, they were more precisely identified as probable tracks of aetosaurs - Triassic reptiles that resembled heavily armored crocodiles (Weems, 1993; Weishample and Young, 1996; Lucas and Heckert, 2011). I personally worked on the site with USGS geologist Robert Weems, and can testify that no anomalous "hoof" prints occurred there (as can many others who worked or visited there). Even after being informed by Jellison (2009) of the above information, Brown kept the VA hoofprint claims in the 8th edition of the on-line version of his book, but finally removed them from a draft of the 9th edition at his website. Brown suggests that "human-like footprints" have been found with dinosaur tracks in Turkmenistan, but no tracks closely resembling human tracks have been documented at the site. 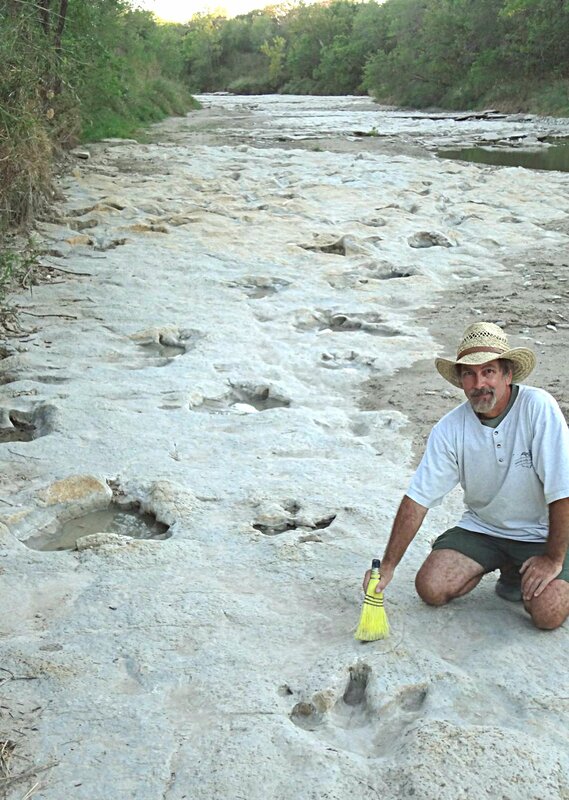 Even if some human-like prints occurred there, it would mean little unless they showed distinct human features, since it is known that elongate, metatarsal dinosaur tracks can sometimes resemble human tracks when their digits are infilled or poorly preserved (Kuban, 1989). The only tracks reported by scientists who worked at the site, and the thousands of tourists who also visited it, are dinosaur tracks. Some are elongate, but show indications of dinosaurian digits (Lockley, 2006; Lockley et al, 1996; Kuban, 2008a). The Geoscience Research Institute, a YEC organization at Loma Linda University in California, states "There have been unsubstantiated reports of human and dinosaur tracks in the same place, but none of them has been confirmed." (GRI, 2015). Brown asserts that "humanlike" tracks also occur in Paleozoic rocks in Kentucky, Missouri, and "possibly Pennsylvania" without mentioning that these often show very unnatural and stylized shapes (some with four or six toes), are typically not in striding trails, and occur in areas where Indiana petroglyphs are common (Kuban, 2005). Brown suggests that only evolutionary bias would lead one to question any of these supposed human footprints, which is dispelled by the above points, as well as the fact that none are endorsed by any major creationist groups. Brown states that phosphate beds in South Carolina were reported to contain "Dinosaur, whale, elephant, horse, and other fossils, plus crude human tools." He cites two references from the 1870s, one of which (Nolan, 1870) is merely a short note from a scientific meeting, that did not mention any dinosaur, elephant, or horse fossils, nor any human tools. It did mention some fish fossils and sloth remains (of similar ages), but attributed the latter to "animals that became mired in marshes after the elevation of the Ashley deposits." The second source (Homes, 1870), a popular-level rather than scientific treatment, mentions that a variety of land and marine fossils have been found in the phosphate beds, but that they were generally in separate strata except where there was evidence of "redistribution." He noted that the confusion was compounded because early workers often used different terms when referring to the same beds, or vice versa. He does list Hadrosaurs among animals that roamed Carolina forests, and even shows a Hadrosaur dinosaur drawing on the cover of the publication, but provides no photographs, stratigraphic details, or supportive scientific references. The only account he mentions of a supposed dinosaur bone is from a local farmer, which should be taken with a large grain of salt, since at the time whale and large mammal bones were often mistaken by laymen for "dinosaur" bones. Moreover, with mining companies well aware of the public's growing fascination with dinosaurs, it was common for them to play up any possible "dinosaur" angle, and to show such creatures in their literature and advertisements, --similar to the way the Sinclair Oil used a Brontosaurus in its logo--fostering the common misconception among many people even today that oil is made up of decomposed dinosaurs (by all evidence it was actually formed from large accumulations of algae and other microbes). Homes identified himself as a professor of geology at Charleston College, but also had substantial financial interests in several phosphate mining companies, and evidently published no peer-reviewed scientific papers. Homes mentioned supposed human artifacts and remains in the area, but again, they are not accompanied by photos or other rigorous documentation, and he indicated that such finds were on the surface of "upper beds," so it is not clear that any would be "out-of-place" even if correctly identified. At any rate, the phosphate beds in the Carolinas have been studied by many geologists, paleontologists, and commercial workers, as well as visited by thousands of fossil collectors. I personally have collected fossils at several such sites in NC and SC. If anomalous fossils occurred in them, they would have been readily confirmed and rigorously documented, but none have been, even in the creationist press. Brown claims that bones of "modern-looking" human remains have been found in strata formed "long before man supposedly began to evolve". As support he lists the Calaveras Skull, Castenedolo Skull, Reck's Skeleton, Swanscombe Skull, Steinheim Skull, and Vertesszollos fossils, noting that these finds are "almost always ignored by evolutionists." However, all of these cases have been addressed by a number of mainstream workers. Upon close scrutiny, none support Brown's claims (Conrad, 1982; Lippard, 1989a; Foley, 2004b; Jurmain et all, 1987). Three of the cases (Calaveras Skull, Castenedolo Skulls and Ricks Skeleton) have been convincingly shown to represent intrusive burials. In commenting on the first two cases, even YEC author Sarfati (2002) agreed, and noted that the Calaveras Skull was a likely hoax, "planted into a mine by miners." 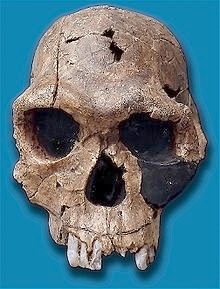 The other specimens are dated within the time range of human evolution, and all show at least some features intermediate between modern humans and earlier hominids, thus contradicting Brown's claims about these specimens as well as human evoution in general. Curiously, the source Brown cites for the supposed out-of-place nature of the Calaveras Skull (Holmes, 1999) actually contains a convincing debunking of it, leading Lippard to remark, "It makes one wonder if Brown even reads the articles he cites." Brown claims that petrified trees in Arizona's Petrified National Park contain fossilized nests of bees and cocoons of wasps, dated as Triassic -- approx. 220 million years old --about 100 million years before flowering plants are thought to have evolved. He cites "personal communication" from USGS worker Stephen Hasiotosis. Brown adds that such finds are almost always ignored by evolutionists. In actuality, the structures in question were thoroughly studied by a team of paleontologists and trace fossil experts, who published a detailed scientific paper (not cited by Brown), concluding that the supposed bees nests were the likely borings and larval chambers of wood-boring beetles, while the cocoons (described by Hasiotosis as "weave impressions"), were inorganic texture features of the wood grain (Lucas et al, 2010). Brown states that some coal beds "contain flowering plants that allegedly evolved 100 million years after the coal bed was formed." However, this involved a single case from a 1923 article, which was later shown to be an archaic plant rather than an angiosperm (Steward, 1923; Schopf, 1947). Brown claims that pollen of flowering plants have been found in Cambrian and Precambrian rocks, and cites the work of Clifford Burdick as support. However, Burdick has a long history of sensational and unfounded claims, and his assertions about anomalous pollen have been refuted by both YEC and conventional workers (Chadwick, 1973, 1981; Isaac, 2003). As in other cases, what Brown doesn't say is more telling than what he does say. Brown neglects the important fact that countless billions of angiosperm plant fossils and pollen grains from thousands of different angiosperm species, are commonly found in Cenozoic and late Mesozoic rocks throughout the world. Moreover, pollen readily fossilizes and travels widely through air and water. So if YECism were true, and thousands of flowering plants were living before the Flood, their remains should be just as common, diverse, and well-documented in Paleozoic and pre-Cambrian rocks. Yet not a single indisputable angiosperm fossil or pollen grain has been verified in any pre-Mesozoic rocks. Neither Brown nor any other YEC has a plausible explanation for this. Brown also claims a number of out-of-place artifacts have been found in coal or other "deeply buried rocks", including a "gold chain," "iron pot", "thimble", screw," and "strange coin." However, like his alleged OOP fossils, none are supported with convincing evidence, or endorsed even by major YEC groups. In regards to the "gold chain", AIG authors Batten et al (2006) state "we see no evidence that the chain was actually in coal, just the claim that it was." In fact, AIG acknowledges that no convincing human remains or implements have been found in any Flood or pre-Flood sediments (Batten et al, 2005; Snelling, 1991). Typically the objects in these cases were not documented in situ, and may well have been intrusive even if the finders were sincere in their reports (Kuban, 2006b). Brown ends his list of supposedly anomalous specimens by commenting that because "evolutionists" do not accept them, "something is wrong." Indeed it is -- with his tendency to promote sensational claims without convincing evidence, and neglect contrary evidence and views, even from other YECs. Fig. 14. Stromatolites are slow-growing, laminated algal mats. and indicate a calm, shallow water environment. Where is the Flood in the Geologic Column? Like most creationist Flood models, Brown's is vague on where the Flood occurs in the geologic column, but implies many if not most sedimentary layers were produced by it. However, no matter where he places it, major problems arise, since every geologic period from Precambrian onward exhibits evidence for multiple episodes of slow deposition and non-deposition. Besides the many tracks and burrows mentioned above, these also include many other trace fossils such as nests, dens, hives, and coprolites (fossil feces) as well as stromatolites (Fig. 14), which are laminated algal and bacterial mats formed in calm, shallow water conditions. None of these would form during a violent flood (Kuban, 2006a). Brown describes many complex biological structures and systems, and repeatedly asks how the "chance" or "random processes" of evolution can explain them. This is misleading. Although evolution acts on largely random mutations, the main mechanism of evolution is natural selection, which is not random but (as the term implies) a selective process. Brown suggests that structures like an eye would not be of any use until in its final, perfected state. However, a primitive eye or even collection of light sensitive cells would be better than no eye at all, and any intermediates between those and more advanced eyes would confer additional advantages (in finding mates or food, avoiding predators, etc). They thus would improve survival chances and the likelihood the trait would be passed on to offspring--the very crux of natural selection. Likewise, Brown suggests that a partial wing would be a disadvantage, whereas it actually could allow improved gliding or leaping, and thus better predator evasion. Rather than explaining these things, Brown seems to do everything possible to obscure how natural selection operates, and depict evolution as totally "random" and "impossible." In several places Brown argues that there is no evidence for "speciation" (the origin of new species), even though there is strong empirical evidence for it in the fossil record, in the wild, and in the lab (Boxhorn, 2005; Callaghan, 1987; Darwin Was Right, 2015; Understanding Evolution, 2008). Even other creationists acknowledge that speciation has occurred (CMI, 2015), though most claim it has limits. Brown's denial of speciation seems to conflict even with other statements in his own book. For example, when discussing the capacity of the ark, he suggests that every species of land animal need not be taken aboard, since the Genesis "kinds" could represent broader taxonomic categories such as genera or families. He argues that these could rapidly diversify after the Flood into the species we see today--tacitly admitting that speciation must have taken place (as if he wants it both ways). Like many creationists, Brown insists that any changes in organisms never involve "new information," but merely reshuffling of existing genes. However, this is demonstrably false, since there are far more genetic alleles (variations of a gene) for many traits among humans today than could have existed in the few individuals aboard the ark. A similar argument can be made for many plants and animals as well (Kuban, 2015). Clearly the development of new alleles (which involve gene duplication, cross-overs, etc., combined with natural selection) constitutes new genetic information by any reasonable definition. Moreover, the "kinds" on the Ark were broader than a species, then even more alleles would have to evolve since the Flood. Ironically, in view of this, in order to account for all the variation we see among organisms today, YECs would need more rapid and dramatic evolution than even mainstream scientists allow. Fig. 16. More realistic view of bird evolution, based on fossil evidence. 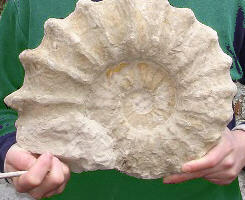 fossils are known of feathered dinosaurs and dinosaur/bird intermediates. Brown repeatedly claims that "macroevolution" requires an "increase in complexity", and that such an increase is never demonstrated, both of which are false. Whereas there has been an increase in complexity in some groups from the first appearance of microbial life in the Precambrian to many multicellular forms in later periods. However, once various phyla and orders were established, extensive diversification and adaptations to various environments often occurred (with corresponding changes in form and function) without any necessary increase in complexity. For example, early dinosaurs in the Triassic period were considerably different from many dinosaurs in the Jurassic and Cretaceous periods, but arguably no more complex. On page 6 Brown presents a simplistic diagram (Fig. 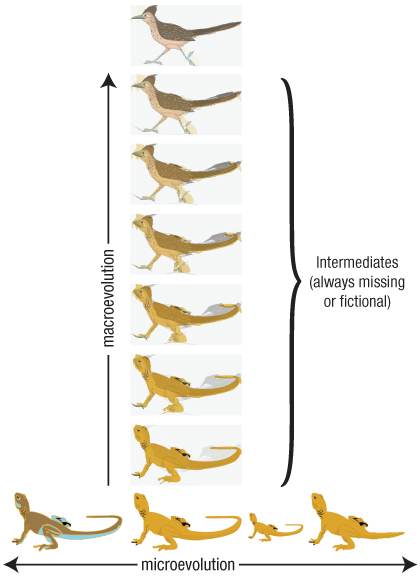 15) supposedly contrasting a critical difference between horizontal "microevolution" involving minor changes, and vertical "macroevolution", but the diagram is misleading in a number of ways. It fosters the idea that the former has nothing to do with the latter, whereas evolution has been shown to involve the accumulation of small changes (microevolution) into larger changes over time (macroevolution). It also falsely suggests that scientists believe roadrunners evolved from a four-legged, iguana-like lizard, and that evolution occurs in a linear or ladder-like fashion, both of which are false. 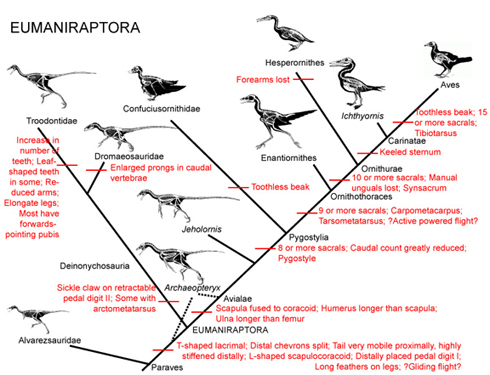 As supported by extensive fossil and DNA evidence, evolution typically occurs in branching or bush-like patterns, and most paleontologists hold that birds descended from a branch of theropods (two-legged, carnivorous dinosaurs) (Fig. 16). 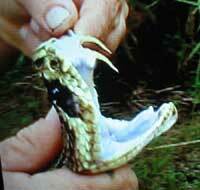 Brown states that if bird really evolved from reptiles, intermediates would be found but "never are." However as discussed earlier, he unfairly dismisses a classic example (Archaeopteryx) by falsely depicting it as a "fraud". Moreover, many other fossils have been found with intermediate features between theropods and modern birds, blurring the distinction between them. In fact, most paleontologists today not only regard birds as descendants of dinosaurs, but a proper group of feathered dinosaurs. Questions about which specific fossils are in the direct line to modern birds and thus strictly "transitional" takes nothing away from the fact that many show features of both modern birds and earlier theropods, and occur at expected geologic horizons, and therefore are still intermediate forms, and valid evidence for evolution. Brown's misunderstandings about evolution are further illustrated when he suggests that there was an unexplained "giant leap" from placental mammals to marsupial mammals . Biologists and paleontologists do not hold that placental mammals evolved into marsupials, nor even the other way around, but that both shared a common ancestor, as fossil evidence supports. Speaking of marsupials, Brown does not address the serious question of how to explain the survival and current distribution of various land animals if they all debarked from the same location on or near Mt. Ararat only a few thousand years ago. For example, the vast majority of marsupial mammals are endemic to Australia and surrounding islands. How they managed to travel from the Ark to their current home, requiring a trek of thousands of miles in foreign and hostile environments without their normal food or habitat, and even cross an ocean, while virtually no marsupial mammals did, Brown does not explain. The problem is especially severe for animals such as the flightless Kiwi, the blind marsupial mole (which lives only in sand), or the sugar glider (a gliding marsupial superficially resembling flying squirrels, which lives in trees), Koalas (slow-moving, tree-dwellers which subsist mainly on Eucalyptus leaves--and only certain species at certain times of year (Adams, 2014)), or the Duckbilled Platypus (adapted to small creeks). Ironically, Brown shows a photo of a platypus and notes that it is found only in Tasmania and Australia, and it is "perfectly designed for its environment", seemingly unaware of the problem this creates for his Flood scenario (during the ark voyage, or afterward). The mainstream explanation for the concentration of marsupials in Australia is that about 50 million years ago, when early placentals evidently died out in Australia, marsupials there evolved and diversified extensively, since the continent had by then become isolated due to continental drift. For further discussion of the problem of animal distributions in YEC models, see Kuban (2014b). Brown implies that one either accepts a recent, fiat creation or atheistic evolution, which unfairly neglects and slights millions of theists who accept evolution. Brown also attributes virtually every societal ill (hedonism, murder, sexual immorality, etc.) to belief in evolution. This is overstated at best, since not only do many believers and decent people accept evolution, but obviously such woes have been around a lot longer than Darwin. Brown also does not mention that millions of believers allow that the Flood account could be allegorical, or that it involved a regional flood, especially since the Hebrew word for "land" in the Biblical description can refer to a region rather than the entire globe (Morton, 1999). Brown has often been criticized for "quote mining." He states that his references are "usually from evolutionists"; however, a large portion are from YECs or ID (Intelligent Design) proponents (seldom identified as such), while many of the remainder are obsolete sources, don't say what he claims, or involve quotations taken out of context. Meanwhile, more relevant and current sources are often omitted, as illustrated by examples cited earlier. As another example, on page 53 Brown quotes the following statement: "There has never been a meeting, or a book, or a paper on details of the evolution of complex biochemical systems." In fact, hundreds of papers, books, and conferences have dealt extensively with this issue, as thoroughly documentred by John Catalano (2004). Brown's source was a book by Intelligent Design proponent Michael Behe (1996), whose claims on this point and many other issues have been well refuted (Dunkelberg, 2003; Miller, 1996, 1999, 2003; Robinson, 1996). At times Brown seems to take unfounded liberties even with Biblical references. 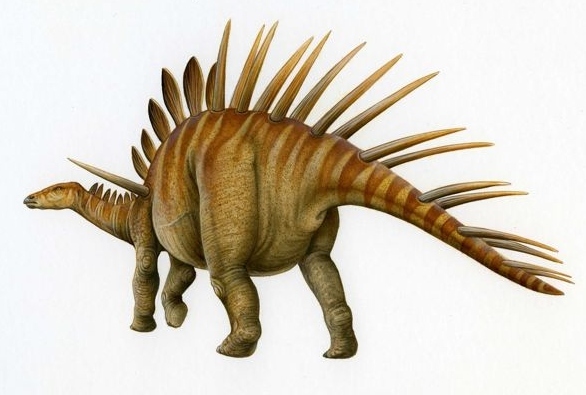 For example, in arguing that a passage about Behemoth in the book of Job refers to a sauropod dinosaur, Brown states: "Behemoth had a 'tail like a cedar.' Any animal with a tail as huge and strong as a cedar tree is probably a dinosaur." 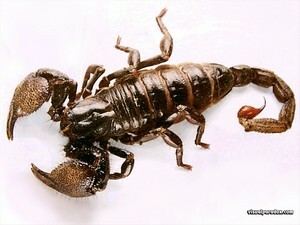 However, the verse in question (Job 40: 17) says nothing about the size of the animal's tail, just its movement. 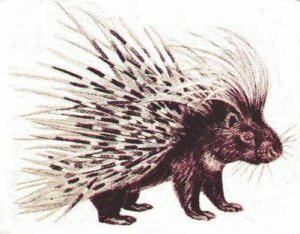 Also, the Hebrew word often translated as "tail" can also refer to other animal appendages, including an elephant's trunk. Moreover, when the entire passage (Job 40: 15-24) is studied carefully, the dinosaur interpretation appears less likely than other alternatives (Kuban, 2008). Another problem is that Brown lists references for each section by number, and when checking a reference, one often finds additional comments and quotations under it, but with only an author and page number attached (no date, title, volume and number, etc. ), even though the full reference is not found anywhere within the section. Since nowhere in his book are references listed by author, this often makes finding the full references in these cases unnecessarily tedious and time-consuming. Ironically, Brown states that his book is in the "ideal format". In his book section entitled "Earth Sciences" Brown's first curiously placed topic is: "Noah's Ark Probably Exists" He notes that he will cover "the more credible" Ark sightings, but then states that "some are probably mistaken." Indeed, the various accounts often disagree on basic details such as which mountain, or what level or side of the mountain, the Ark rests on. One of the accounts relates that a Russian pilot in World War I (1916) saw the Ark while flying over it. This supposedly led to two expeditions by soldiers who explored the boat, but could not report to the Czar before the Russian Revolution began. Brown acknowledges that the account contains "a few fictional elements" but neglects to mention that the story was first published in a German newspaper on April 1, 1933, and it is widely regarded as an April Fool's Day joke (Moore, 1989a). Brown devotes an entire page to describing the "CIA's 'Ararat Anomaly'" and even shows color drawings of what the ark "could look like" at the site, only to conclude that it is "probably not the Ark." Similar problems exist with the other sightings he relates, and none include any convincing, extant photographs. Even AIG author Tim Chaffey believes it unlikely that an Ark would survive into modern times on Mr. Ararat or nearby mountains due to the major earthquakes and other geologic activity in the area during the last several centuries (Chaffey, 2016). In view of all this, one must wonder by what criteria Brown considers any such accounts "credible" or how they lead to the conclusion that the Ark "probably exists." Plenty of Room on the Ark? 1. fails to include thousands of other prehistoric land animals besides dinosaurs, many of which were large. 2. fails to include the likely vast number of prehistoric animals yet to be discovered (many new ones are found every year). 3. fails to include many prehistoric animals that may never be discovered due to the incompleteness of the fossil record. Paleontologists estimate that animals alive today represent only a tiny fraction of those that ever lived on earth. 4. seems to neglect the "clean" animals taken by "sevens"2. Woodmorrape suggests the number of clean birds would be negligible, but Genesis 7:3 says indicates that all birds were taken by "sevens." 5. fails to include many animals besides reptiles, mammals, and birds that cannot live even in calm water for a year, let alone catastrophically violent, mud-choked, lethally hot Flood waters. 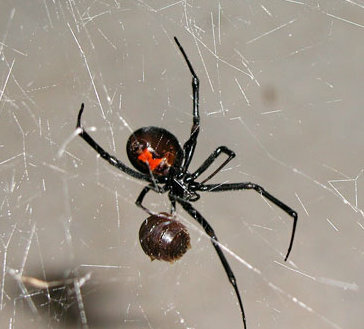 Even if we disregard the many fish that require fresh water or other narrow environmental conditions, these include many terrestrial amphibians (toads, tree frogs and caelians), arachnids (scorpions, spiders, etc. ), isopods, myriopods, and insects (many of which can only survive in colonies), as well as many terrestrial crustaceans and mollusks (land crabs, land snails, slugs, etc). Brown claims that his model requires no miracles, but as noted earlier, when discussing the start of the Flood Brown implies that miracles either took place or may well have. In an early summary of his model entitled "What Initiated the Flood?" Brown began by stating, "Sometime after the Fall but before the Flood, God set in motion a chain of physical events that produced a global Flood" (Brown, 2003). On page 3 of his book he quotes a Bible verse stating that at God's rebuke the waters "fled", "the mountains rose," and "the valleys sank down," which also implies miracles. Miracles also seem to be implied in other aspects of Brown's model, and any other YEC Flood model; how else, for example, would two of every kind of land animal on earth know that they needed to migrate to the ark, and exactly where and when to go? (the poor tortoises, sloths, and land snails would have had to have a big head start). Although Brown seems not to realize it, his model would also require miracles in order for the Ark passengers and other life forms to have survived the multiple sources of lethal heat, radiation, and violence inherent in it (summarized in the Table at right). As discussed by Moore (1983), many other aspects of the Genesis account of Noah's ark and the Flood seem highly untenable (such as the construction of the ark, care of the animals, the disease/parasite problem noted earlier, etc.) unless still other miracles were involved. Brown also implies in several places that the Sun, Moon, planets, and all basic "kinds" of life were supernaturally created during a literal creation week only a few thousand years ago, hence more miracles. Brown is welcome to believe in all the miracles he likes, but to suggest his model doesn't involve any just doesn't hold water. No Reliance on the Bible? In the Introduction to Brown's book, he says that the "gigantic flood" he describes was "the most cataclysmic and literally earthshaking event the world has ever experienced..." and adds, "A detailed and scientific reconstruction of these events now can be made independent of Scripture." Yet a few sentences later he quotes Bible verses as support for various aspects of his model, as he does throughout his book. Indeed, it's apparent that many parts of his model were largely derived from his literal reading of Genesis, including the basic concept of a recent global deluge, the existence of subterranean waters and "pillars," the concept of a large wooden Ark and its human and animal passengers, and the direct, supernatural creation of the Earth, Sun, and planets, and the claimed lack of physical death before the Fall (addressed next). Moreover, some entire sections of Brown's book focus largely on Bible passages, such as the topics "What Triggered the Flood?" and "According to the Bible, When was Adam Created?" are clearly based largely on the Bible, and more specifically, his interpretation of certain verses in Genesis. If these are supposed to be separate from his model, it is not at all obvious. Indeed, if Brown's model stands without any reference to Bible passages as he suggests, it is curious that he cites over 500 of them (which are separately compiled in the index). Like many YECs, Brown argues that there was no physical death before the Fall4, which creates both theological and scientific problems (Kuban, 2013). Indeed, while a spiritual meaning of "death" in Genesis is required for Biblical coherency and consistency, insisting that it also means physical death there creates a serious problem, namely that if creatures obeyed the command to be "fruitful and multiply," without any check on reproduction rates, the "very good" creation would soon become a veritable hell on Earth, as populations exploded into absurd levels in a matter of days (considering the reproductive rates of many microbes and invertebrates). Even if one limited the lack of physical death to higher animals or humans, it would only postpone and not solve the problem.3 Moreover, the doctrine leaves unexplained the existence of obvious obligatory predators such as sharks, spiders, scorpions, and deep sea-angler fish (which have huge, needle-like teeth and wriggle worm-like "lures" on their heads to entice prey). 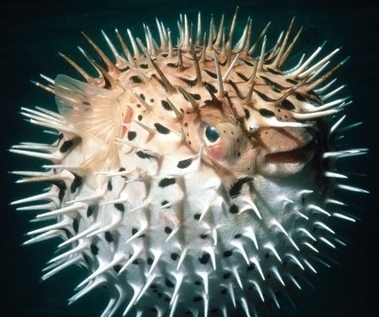 Likewise, many animals such as porcupines, skunks, pufferfish (which are poisonous and can inflate their spine-covered bodies), and insects that look like sticks or leaves, have elaborate defense structures and mechanisms, which make no sense if there were no predators to defend against. 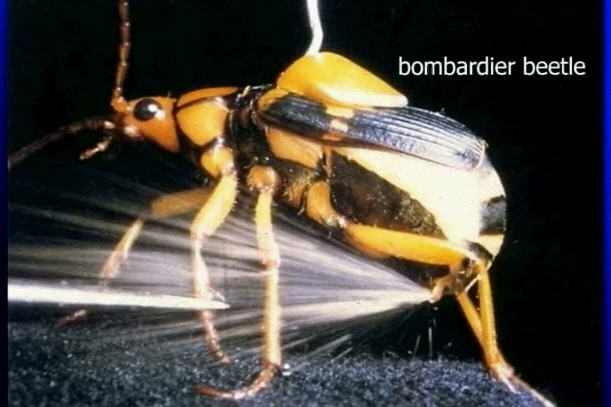 Brown argues that the hot chemical spray of Bombardier beetles is evidence of design and fiat creation, apparently without noticing the discrepancy with the no-physical-death doctrine. 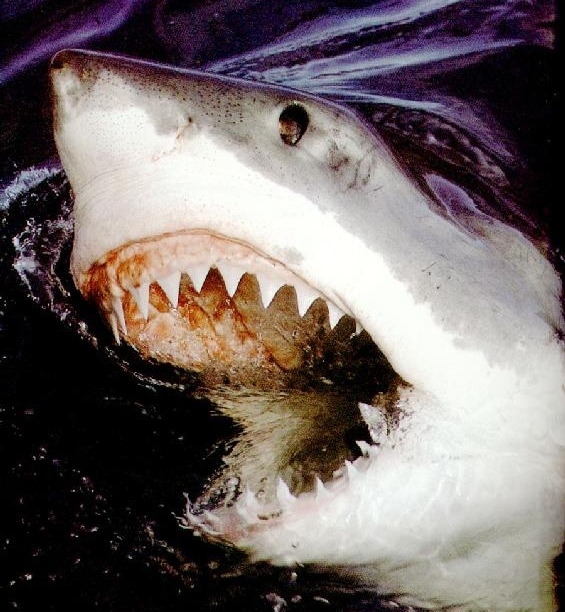 Even more curious, on page 389 Brown suggests that predators may not have existed until after the Flood; but elsewhere he mentions larger fish fossilized with smaller fish in their mouths or stomachs. Many of Brown's specific assertions about geologic and astronomical matters have been shown to involve erroneous calculations or assumptions, while others lack supporting data and calculations. When other workers and reviewers have asked for them, Brown has frequently stonewalled. When invited to explain his model at a meeting with numerous fellow YECs, where a Christian film company was reviewing various YEC Flood models in preparation for a possible movie about Noah's Flood, Brown resisted requests for clarifying information and calculations on various aspects of his model. When pressed for this data, Brown withdrew from the proceedings, and was the only one to do so (Jellison, 2009c). At the end of the meetings, the film company concluded that at present no Flood model was credible enough to warrant production of a "Flood movie." Old-earth and local flood models were also discussed and found lacking, but as Jellison notes, "the format of the review made it impossible to consider the vast evidence in favor of the authentic scientific worldview." Brown has issued a challenge to evolutionists to debate him in person or over the phone, but has stipulated a number of questionable and one-sided conditions, and repeatedly evaded attempts by mainstream scientists to accept his offer (Foley, 2004; Isaac, 2004; Meert, 2006; Castagnoli, 2009; Jellison, 2009). In any case, scientific issues are not settled in verbal debates, but through careful scientific work, published in rigorous, peer-reviewed scientific papers. Brown complains of evolutionist bias in mainstream publications, but he has not published such papers even in YEC journals. According to AIG, when he was invited to submit a manuscript to their Technical Journal, he declined. In Brown's 9th edition on-line draft (Brown, 2016), he noted that one reason for this is that he cannot explain his model in only a few pages. However, YEC journals such as TI and CRSQ do not limit their articles to only a few pages. Moreover, he could publish a series of articles if the key points of his model could not be covered in one paper. He also would not need to cover his entire book in such papers, since most of it does not deal with unique aspects of his model, but alleged anti-evolutionary arguments and claims on other topics. In view of the considerable influence Brown's book and website have had among lay readers, and the many questions YEC leaders were receiving about them, a number of YEC organizations have evaluated Brown's claims and written substantial critiques. Although agreeing with Brown on the age of the Earth and general criticisms of evolution, they found many problems with his Flood theory and related claims. As mentioned previously, Faulkner (2013) of AIG showed that the heat involved in Brown's eruption phase alone would have destroyed all plant and animal life on earth. In regards to Brown's assertions about the origin and composition of comets and asteroids, the mechanics and physics of hydroplate eruptions and movements, and other matters, Faulkner noted that "many of these statements and claims are incorrect or misleading." (Faulkner, 2013). Michael Oard of CMI noted that many of Brown's claims involved "questionable initial conditions, lack of in-depth analysis, the arbitrary fitting of data to his model, questionable references and analogies, the dubious significance of his predictions, and problematic comparison tables." He concluded: "I do not consider his model a viable Flood model" (Oard, 2013). Near the end of his book Brown states that "Almost all critics of the hydroplate theory have not read it" and "choose to remain anonymous." One wonders how he can know the former, and the latter is clearly unfounded, as shown by many references to named critics in this review. Granted, not all who criticize Brown's model or parts of it may have read his entire book, since 1. Some may have wished to focus on claims relating to their areas of expertise, which is understandable and still useful, and 2. Brown's 480+ page book, is a complex matrix of sensational but poorly supported claims on many topics, often presented in disjointed and redundant ways, while using an awkward and unconventional reference system; so slogging through it all requires considerable stamina and patience. Nevertheless, I for one have managed it, as well as read the excerpts and summaries at his web site (which change from time to time), while comparing what Brown asserts to what other research and writings indicate. By all evidence many other reviewers have as well, and most are not anonymous. Ironically, it seems that it is often Brown who has not sufficiently read, understood, or dealt with opposing views and evidence. Brown's 9th edition draft (Brown, 2016) includes a new section criticizing AIG and ICR authors for criticizing his model, especially on the topics of moon dust, frozen mammoth and Archaeopteryx. Ironically, these are subjects on which Brown makes some of his most demonstrably false claims, which often directly contradict the physical evidence. He implies they have not sufficiently researched these issues, which is ironic, since their articles on at least the first two subjects have typically been far more detailed and well-referenced than Brown's claims. Walter Brown's hydroplate Flood model is an imaginative but woefully deficient model of earth history, flying in the face of many lines of evidence from geology, paleontology, biology, cosmology, and physics. It has not been published in rigorous peer-reviewed papers, and is not supported by any conventional scientists, or even most young-earth creationists with backgrounds in relevant fields. I wish to thank Frank Lovell, Gerard Jellison, Kevin Henke, Jon Fleming, Reed Sanders, Lia Campbell, Ronnie Hastings, and Patrick Ivers for their helpful comments and corrections. However, any deficiencies or errors that remain are my own. 1. Walter Brown often uses the term "Flood theory" or "Hydroplate theory"; however, I believe the term "Flood model" is more appropriate for the following reasons. First, although the word "theory" in everyday parlance can mean a general idea or hypothesis about something, in scientific usage a "theory" refers to an explanation that is well supported by observable or experimental evidence. For reasons that should be apparent from my review, I do not believe that applies to Brown's ideas. Second, although one could argue that the less scientific meaning of "theory" could still apply, but Brown clearly does not intend that meaning. The term "model", which generally refers to a description or representation of certain phenomena, that can be evaluated and tested by others therefore seems more appropriate and less likely to be ambiguous or prejudicial. Third, even most YECs routinely refer to their competing "Flood models." 2. Even Biblical scholars debate whether the Bible verses about "clean animals" going into the Ark by "sevens" mean seven pairs or seven individuals for each clean animal (Thompson and Major (1987). There is also some controversy about why Gen. 6:19-22 appears to indicate that all animals were taken by "twos" (including birds), whereas Gen. 7:2-3 indicates that clean animals should be taken by sevens, with birds again specifically included. 3. If each human couple had only 2 children, with each generation being 20 years, then without physical death, the population would double every 20 years. In just 50 generations (1000 years) there would be over 1,125 trillion people on earth. To grasp the enormity and absurdity of this figure, realize that the entire earth's surface has only about 510 trillion square meters (about 600 trillion square yards)--including the oceans. In a few more generations, there would be more people than the number of square feet on earth, and a few more generations, more people than square inches on earth, which obviously is impossible. One could propose even lower reproduction rates, but that would not solve the problem, only prolong it. 4. In Christian theology, the "Fall" refers to the first sins committed by Adam and Eve in the Garden of Eden, as related in Genesis 3, in disobedience to God's command to not eat the fruit of the Tree of Knowledge of Good and Evil. This doctrine is closely tied to the concept of "original sin", as held by many denominations, whereby all subsequent humans inherited a "sinful nature." Because God told Adam that the day he ate of the fruit he would die, and other verses indicate that "death" entered the world at this time, many Christians believe that this means humans and other creatures were created as immortal beings, without physical death. However, besides the ecological and population problems this would create, and the need for the word to at least mean spiritual death in order to be consistent with other parts of the Bible, that physical death was not the main meaning, if any meaning, seems indicated by the fact that Adam did not die that same literal day, but according to the Bible, he lived for many years afterward. Of course, many Christians take parts or all of the Genesis account allegorically, and accept the scientific evidence that humans evolved from earlier primates, often believing that God directed or had a transcendent role in the process. Aardsma, Gerald E., 1988a, "Has the speed of light decayed?," Impact #179, Institute for Creation Research, El Cajon, CA. Aardsma, Gerald E., 1988b, "Has the speed of light decayed recently?," Creation Research Society Quarterly 25(1): 36f. Batten, Don, Ken Ham, Jonathan Sarfati, and Carl Wieland, 2006. Where are all the Human Fossils? Creation Magazine, Dec 91-Feb 92, Vol. 14, No. 1, pp. 28-33. Web version at: http://www.christiananswers.net/q-aig/aig-c014.html Note, Oddly, this page does not list the authors; however, previously this article was found at www.answersingenesis.org/docs2/4419.aspa with authors listed. Now the URL redirects to the Snelling (1991) article. Behe, Michael, 1996. Darwin's Black Box. New York: The Free Press. Boule, Marcellin, and Henri V. Vallois, Fossil Men (New York: The Dryden Press, 1957), p. 145. Brown, Walter T., 1986. The Fountains of the Deep, Proceedings of the First International Conference on Creationism (Pittsburgh: Creation Science Fellowship, 1986), p. 23-38. Brown, Walter T., 2003. What Triggered the Flood? Creation Research Society Quarterly, 40 (2), pp. 65-70. Carpenter, Kenneth, 1999. Eggs, Nests, and Baby Dinosaurs: A Look at Dinosaur Reproduction, Indiana University Press. Castagnoli, Geno, 2009. Email communications. Castagnoli described many ways in which Brown repeatedly threw up road blocks and unfair terms to avoid a debate. Chadwick, A. V., 1973. Grand Canyon palynology -- a reply. Creation Research Society Quarterly 9: 238. Chiappe, Luis M. and Lowell Dingus, 2001. Walking on Eggs: The Astonishing Discovery of Thousands of Dinosaur Eggs in the Badlands of Patagonia, Scribner, New York. Charig, Alan et al., 1986. Archaeopteryx is not a forgery. Science 232: 622-625. Dalrymple, Brendt G., 1991. The Age of the Earth, Stanford, Stanford University Press. Ebert, Ronald. 1997. Reports of the National Center for Science Education, Vol. 17, No. 5. Foley, Jim, 2004. More on Walter Brown's debate offer. Talk-Origins archive article at: http://www.talkorigins.org/faqs/homs/wbrown2.html. Fortey, Richard, 1999. Life: A Natural History of the First Four Billion Years of Life on Earth. Vintage. 400 pages. Gingerich, P. et al, 1990. "Hind Limbs of Eocene Basilosaurus: Evidence of Feet in Whales," Science 249, July 13, 1990, p. 154). Gingerich et al, 1994. "New whale from the Eocene of Pakistan and the origin of cetacean swimming," Nature 368, April 28, 1994, pp. 844-847. Gleick, P.H. Earth's water distribution. Water Science for Schools. U.S. Geological Survey. 28 August 2006. For more estimates of ocean volume, see: http://hypertextbook.com/facts/2001/SyedQadri.shtml. Hastings, Ronnie J., 1987a. "Creation Physics" and the speed of light, Unpublished manuscript described in Strahler (1987), pp. 116-118. Hastings, Ronnie J., 1987b. New Observations on Paluxy Tracks Confirm Their Dinosaurian Origin. Journal of Geological Education, Vol. 35, No. 1, pp. 4-15. Hazen, Robert M., 2013. The Story of Earth: The First 4.5 Billion Years, from Stardust to Living Planet. Penguin Books. Hoyle, Fred, and Wickramasinghe, C., 1986. 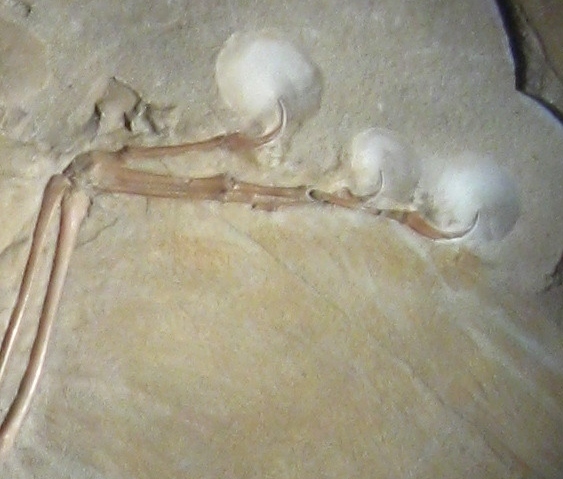 Archaeopteryx, the primordial bird: a case of fossil forgery, Christopher Davies, London. Jellison, Gerard P., 2009c. Personal communication and unpublished report "Radiometric Dating, Deep Time, and Creationism." Jellison, Gerard P., and W.T. Bridgman, 2007. "Analysis of the Variable Lightspeed (c-Decay) Theory of Barry Setterfield." Web article at: http://crankastronomy.org/cdecay/cdecay_2007Jellison3.pdf Jennings, S. and G. R. Thompson, 1986. Diagensis of Plio-Pleistocene sediments of the Colorado River Delta, southern California. Journal of Sedimentary Petrology 56(1): 89-98. Keary, Philip & Frederick J. Vine, 1996. Global Tectonics. Blackwell Science, 2nd ed. Krot, Amelin, Y., A. N., Hutcheon, I. D., and Ulyanov, A. A., 2002. Lead isotopic ages of chondrules and calcium-aluminum-rich inclusions. Science, vol. 297, p.1678-1683. Lockley, Martin G., 2006, Email communication. Lucas, Spencer G, and Andrew Heckert, 2011. Late Triassic Aetosaurs as the trackmaker of the tetrapod footprint ichnotaxon Brachychirotherium. Ichnos 18:4, pp. 197-208. Matson, Dave, 1995a. Young-earth "proof" #1: The sun is shrinking at 5 feet/hour which limits the earth-sun relationship to less than 5 million years. Web article at: http://www.infidels.org/library/modern/dave_matson/young-earth/specific_arguments/sun_shrinking.html. Miller, Kenneth R, 1999. Finding Darwin's God: A Scientist's Search for Common Ground Between God and Evolution. Harper Collins, Chapter 5. Moore, Robert, A, 1983. Creation/Evolution Journal, Issue 11 (Winter 1983). Web version at: http://ncse.com/cej/4/1/impossible-voyage-noahs-ark. Note: this publication has since been renamed "NCSE reports." Morton, G. R., H. S. Slusher, R. C. Bartman and T. G. Barnes, 1983. Comments on the velocity of light. Creation Research Society Quarterly 20: 63-65. Morton, Glenn, 1999. Foundation, Fall and Flood. DMD Publishing. Morton, Glenn, 2003a. Walter Brown's Hydroplate Model. Web article at: http://www.oldearth.org/walter_brown_hydroplate_theory.htm. Perrin W. P., B. W. Würsig, and J. G. M. Thewissen (editors). 2009 (2nd Edition). Encyclopedia of Marine Mammals. Academic Press, Elsevier. Plotner, Tammy, 2011. "Did Asteroid Baptistina Kill the Dinosaurs? Think other WISE..." Universe Today. Sakai et al, 2005. "Geology of the summit limestone of Mount Qomolangma (Everest) and cooling history of the Yellow Band under the Qomolangma detachment." The Island Arc 14: 4 pp. 297-310. Setterfield, Barry, 1981, The velocity of light and the age of the universe: Ex Nihilo, vol. 4, no. 1, p. 38-48. Setterfield, Barry, 1982, The velocity of light and the age of the universe: Ex Nihilo, vol. 1, no. 1 (International Edition), p. 53-93. Setterfield, Barry, 1983, The velocity of light and the age of the universe: Ex Nihilo, vol. 1, no. 3 (International Edition), p. 41-46. Strahler, Arthur, 1987. Science and Earth History. Prometheus Books. Sykes, G., 1937. The Colorado River Delta. American Geographical Society Special Publication 19, New York: American Geographical Society. Tang, S. M. and Zhang, S. N., 2005. "Critical Examinations of QSO Redshift Periodicities and Associations with Galaxies in Sloan Digital Sky Survey Data". Astrophysical Journal 633 (1): 41. Thewissen, J. G. M. (Hanns), 2014. The Walking Whales: From Land to Water in Eight Million Years, University of California Press, 256 pages. William G. Tifft, William G., 1991. "Properties of the Redshift," The Astrophysical Journal, Vol. 382, pp. 396-415. Understanding Evolution. 2015. University of California Museum of Paleontology. 22 August 2008 . Vardiman, Larry, et al. 2005. Radioisotopes and the Age of the Earth: Results of a Young-Earth Creationist Research Initiative. Institute for Creation Research, El Cajon, California. Weems, Robert E. 1992. A Re-evaluation of the taxonomy of the Newark Supergroup saurischian dinosaur tracks, using extensive statistical data from a recently exposed tracksite near Culpeper, VA. Virginia Division of Mineral Resources Publication 119, pp. 113-127. Weems, Robert E. 1993. Upper Triassic Reptile Footprints and a Coelacanth fish scale from the Culpeper Basin, Virginia. Biological Society of Washington Proceedings 106, pp. 390-401. Weishampel, David B. 1996. Dinosaurs of the East Coast. John Hopkins University Press, pp. 186-190. Winker, C. D. and S. M. Kidwell, 1986. Paleocurrent evidence for lateral displacement of the Pliocene Colorado River Delta by the San Andreas fault system, southeastern California. Geology 14(9): 788-791. Young, Davis A., and Ralph F. Stearley, 2008. Bible, Rocks and Time: Geological Evidence for the Age of the Earth. IVP Academic,501 pages. Zhao, Dapeng et al, 1997. Depth Extent of the Lau Back-Arc Spreading Center and Its Relation to Subduction Processes. Science 278 (5336), pp. 254-257.